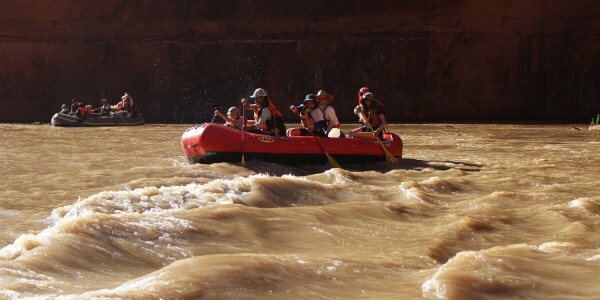 Canyon Country participants experience the stunning beauty of the Colorado Plateau’s desert from three unique and distinct angles: rafting the San Juan River, hiking through Utah’s Canyons, and working on a service project with a Navajo family near Canyon De Chelly National Monument. 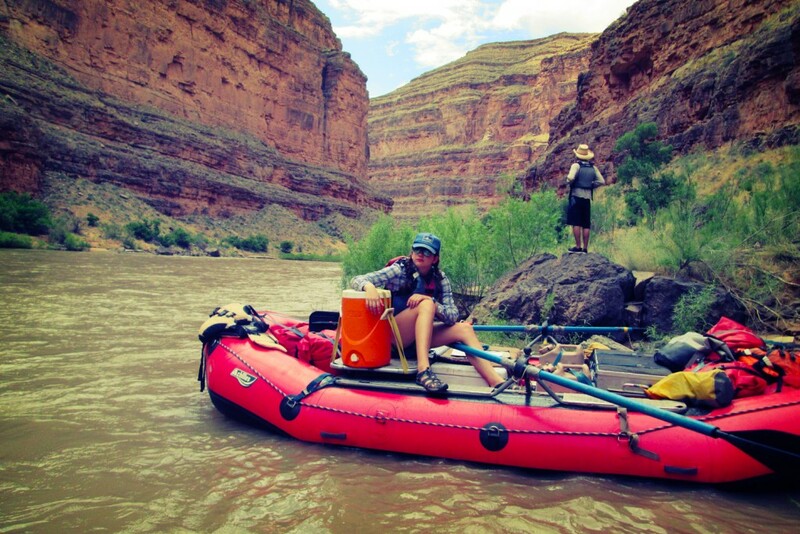 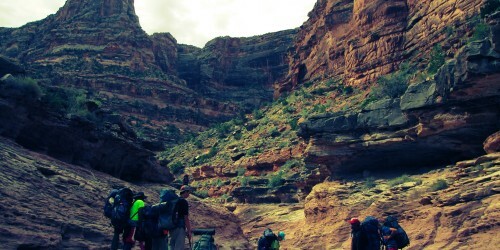 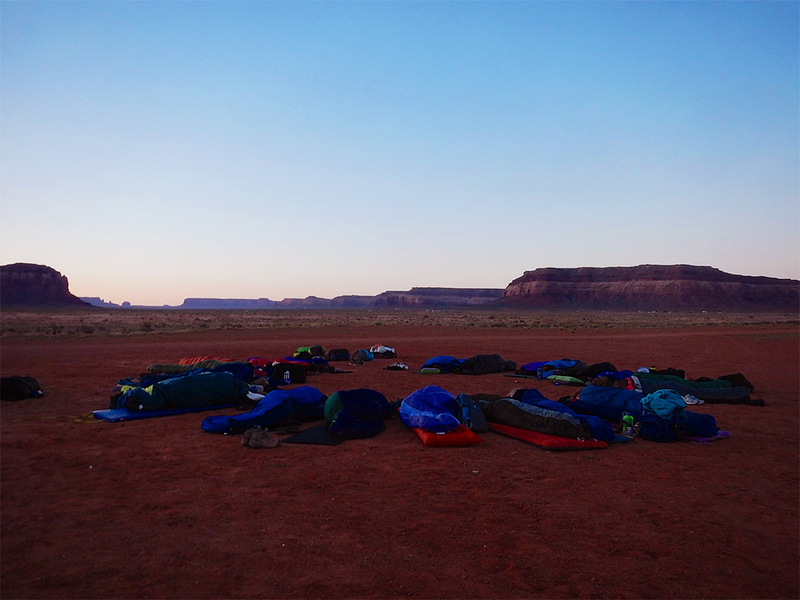 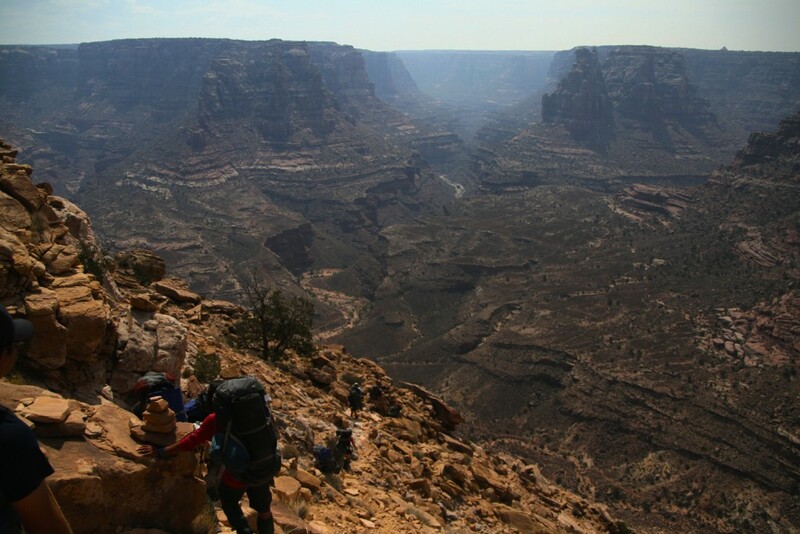 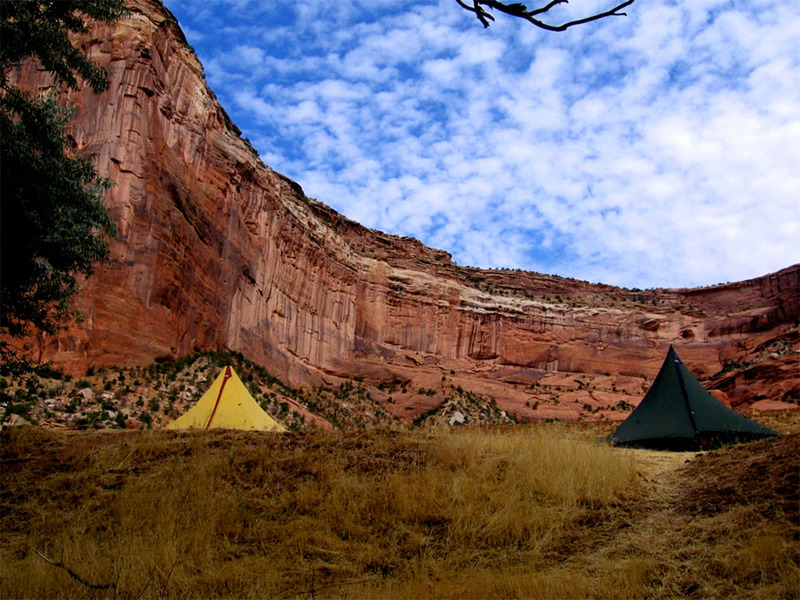 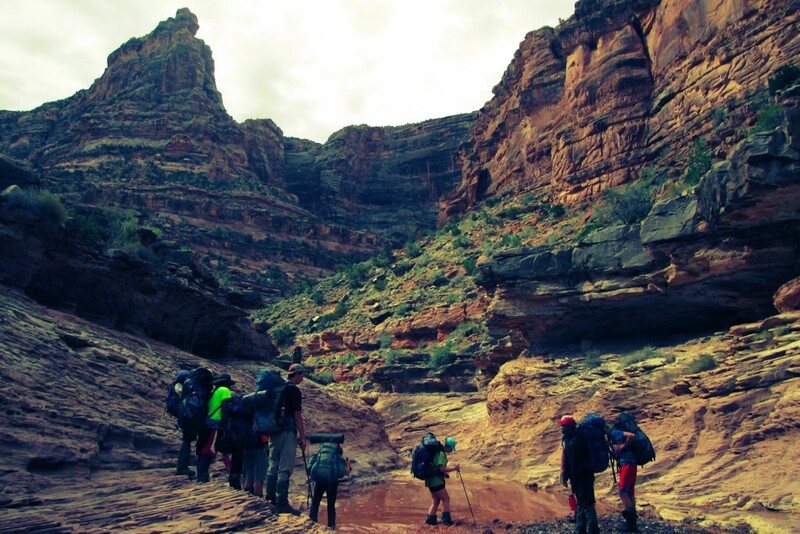 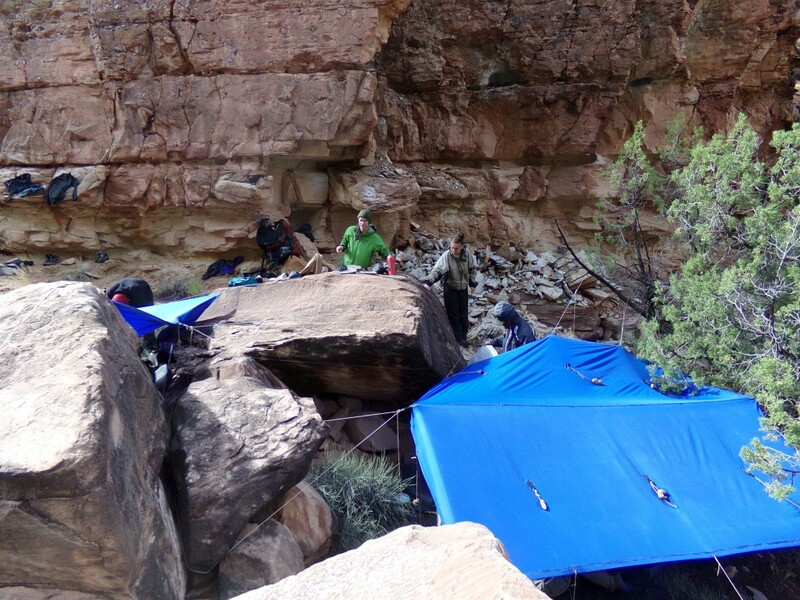 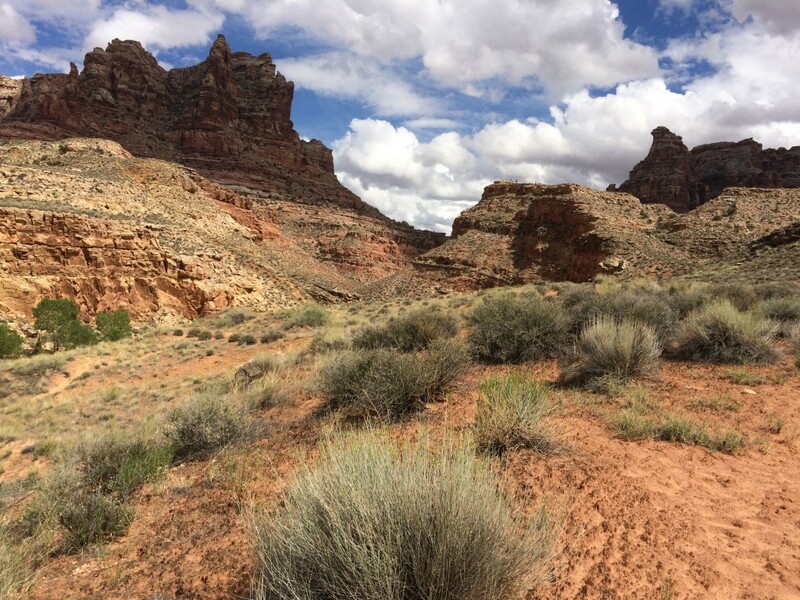 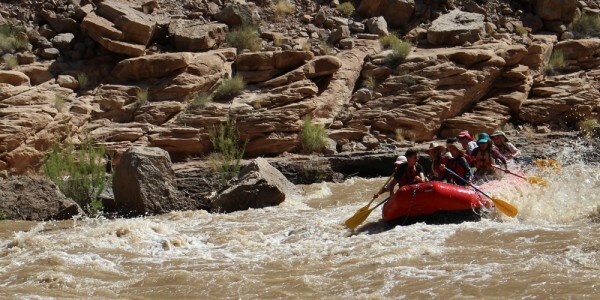 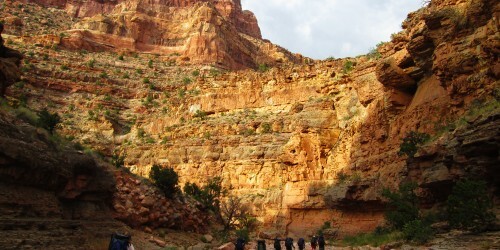 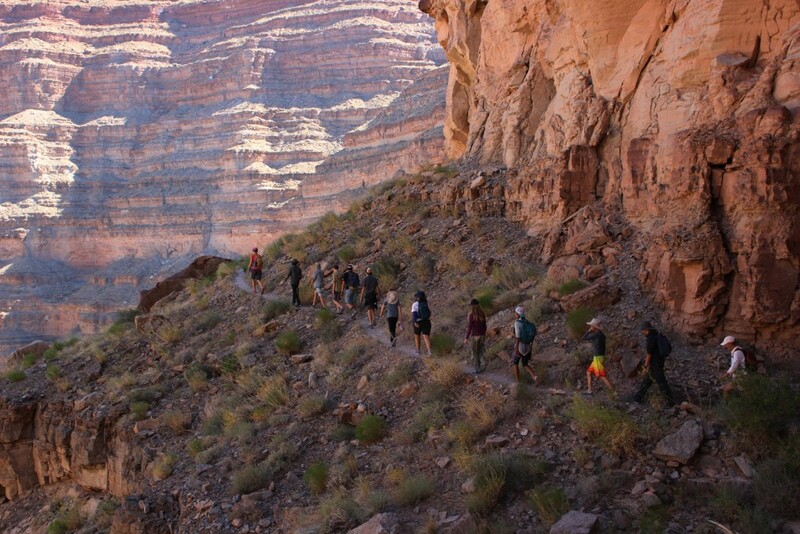 All prepped and packed, the group departs Deer Hill Basecamp on Day 3 for the river launch in Mexican Hat, UT. 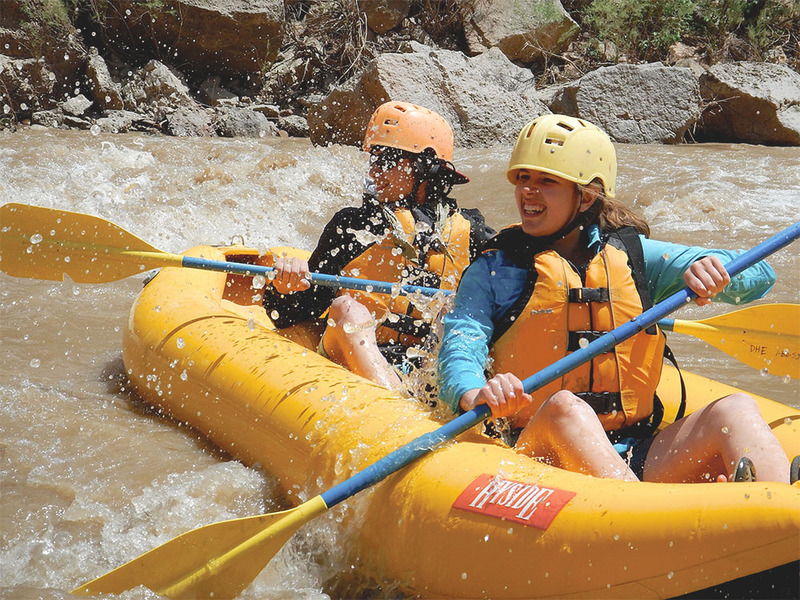 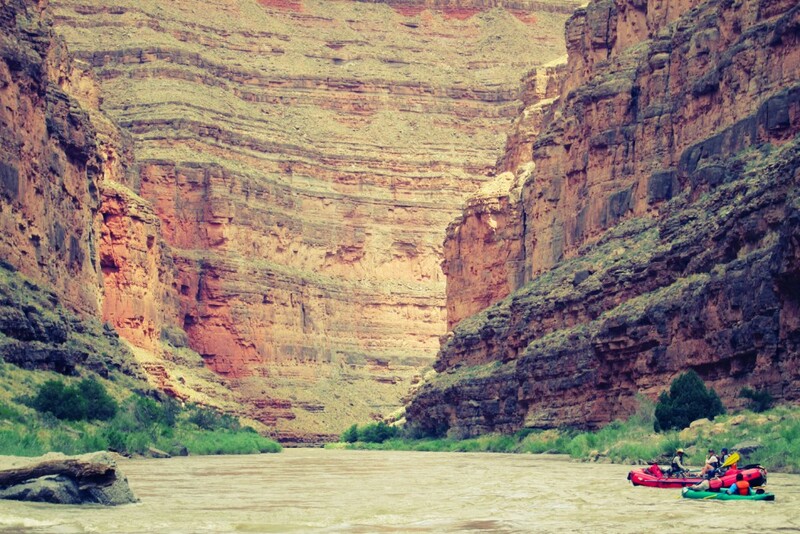 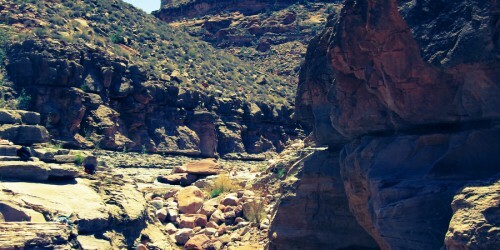 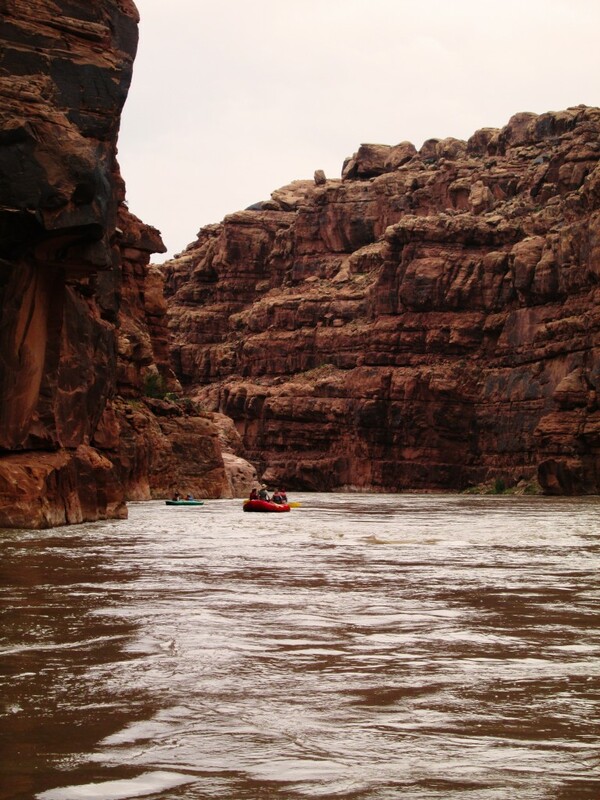 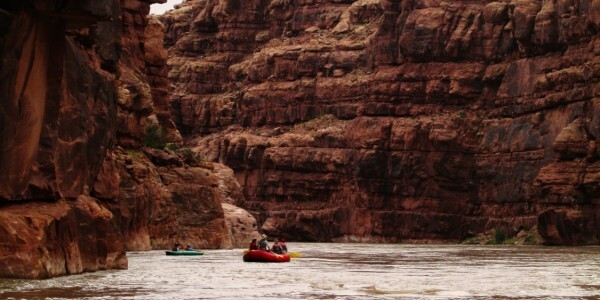 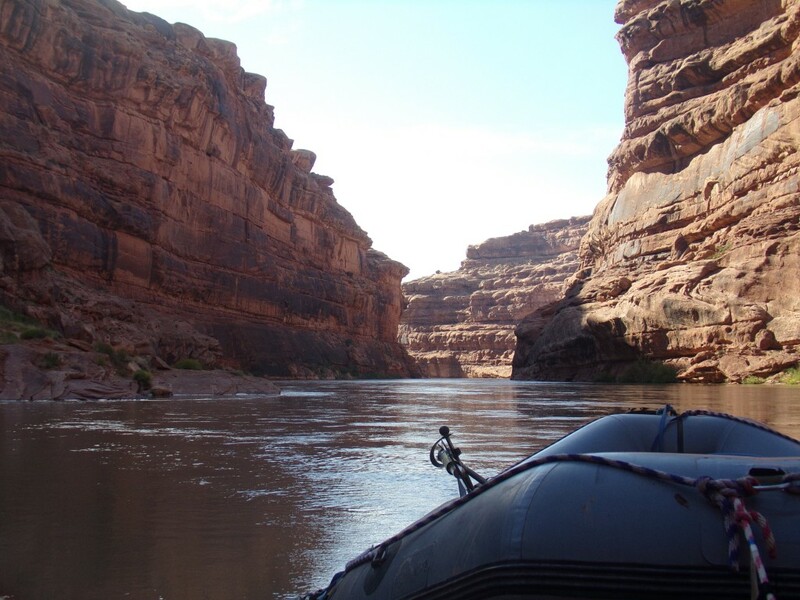 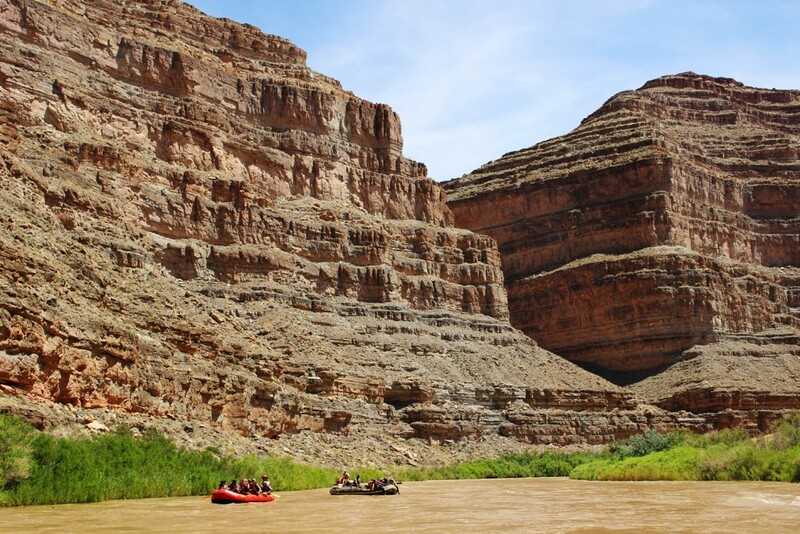 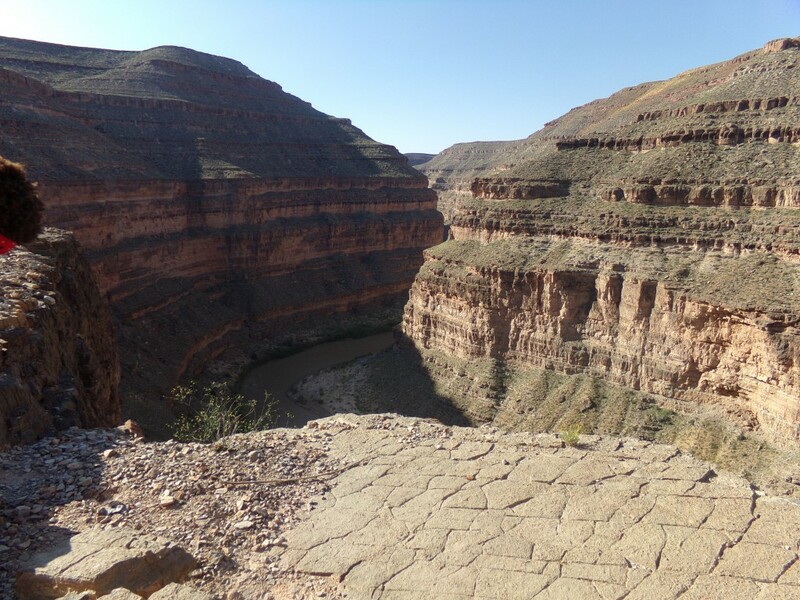 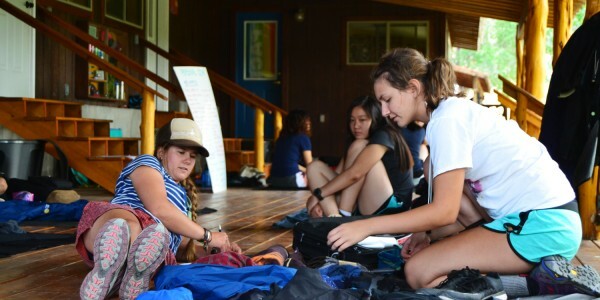 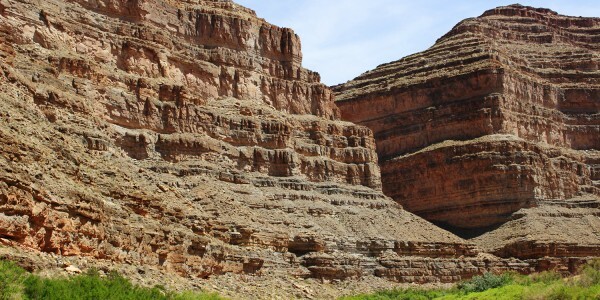 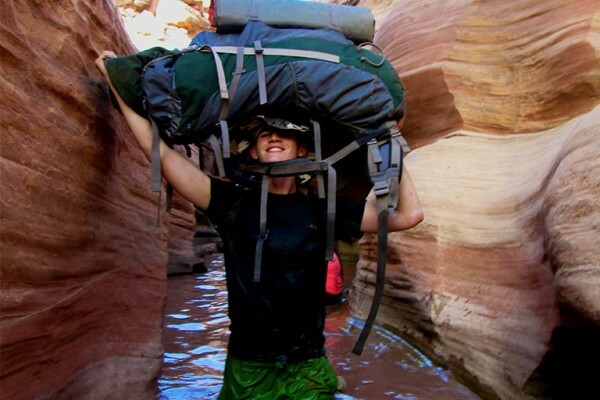 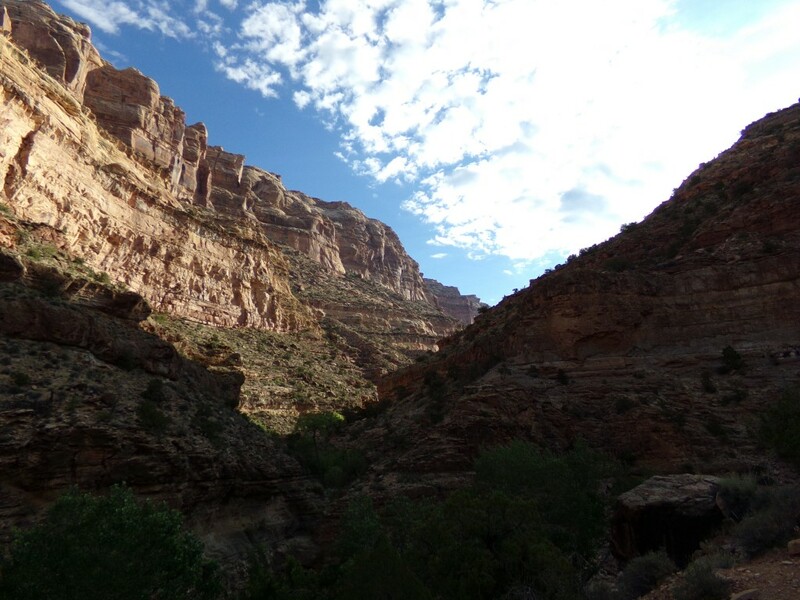 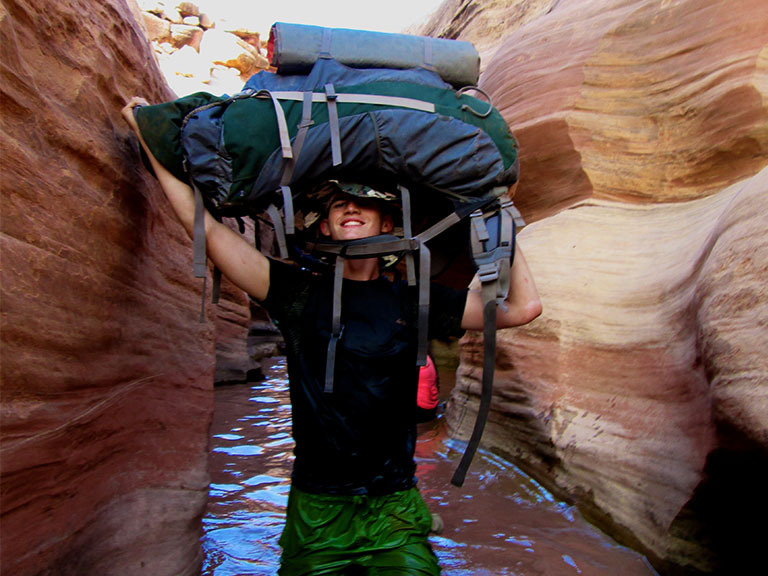 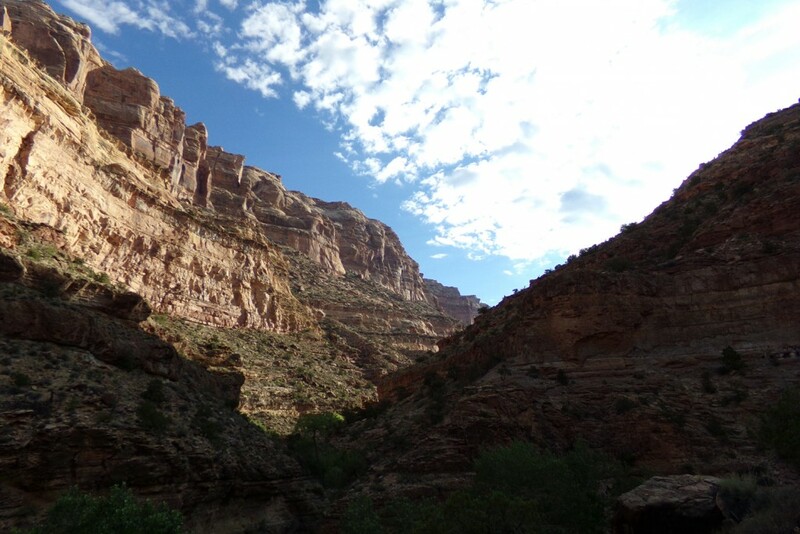 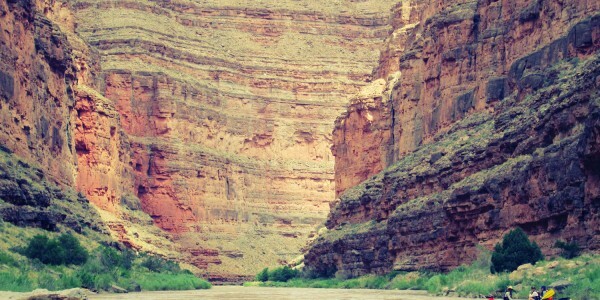 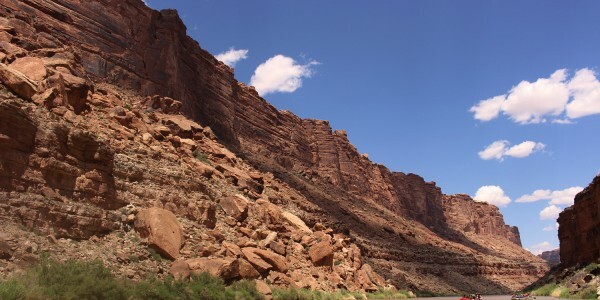 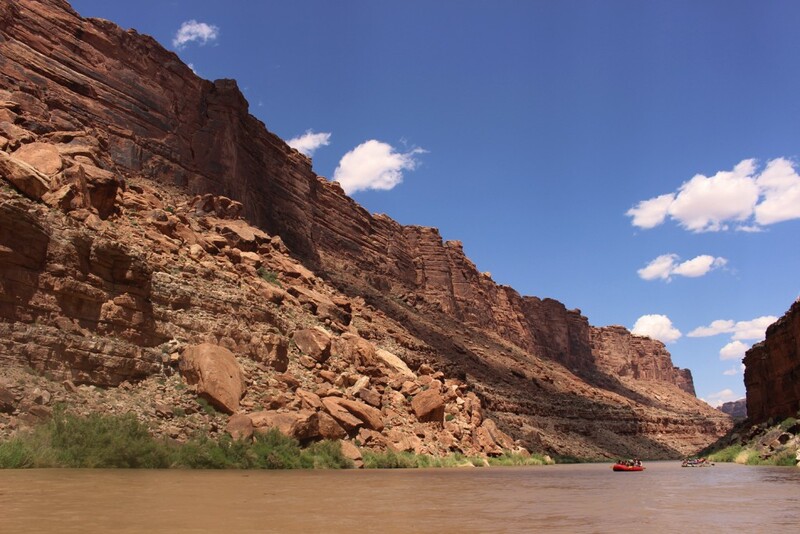 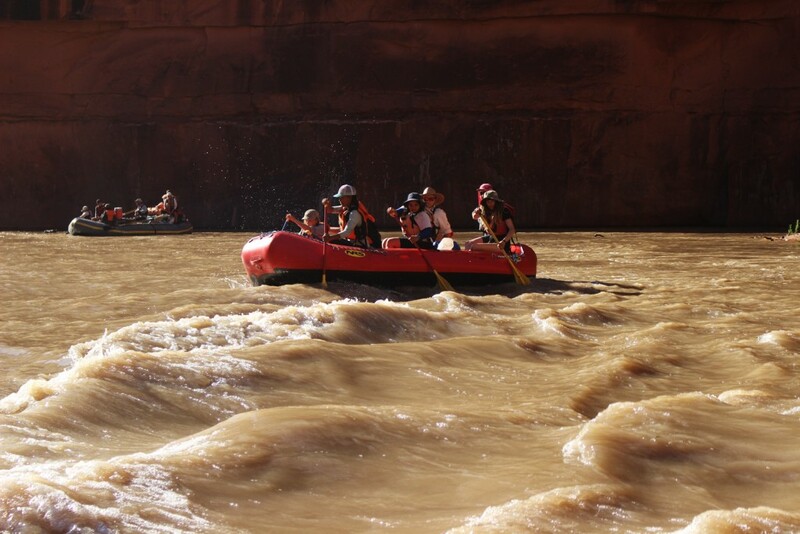 They will spend their days on the river, rafting class I and II+ rapids through the deep and sinuous sandstone canyons, exploring side channels, and hiking to overlook points high up the canyon walls. 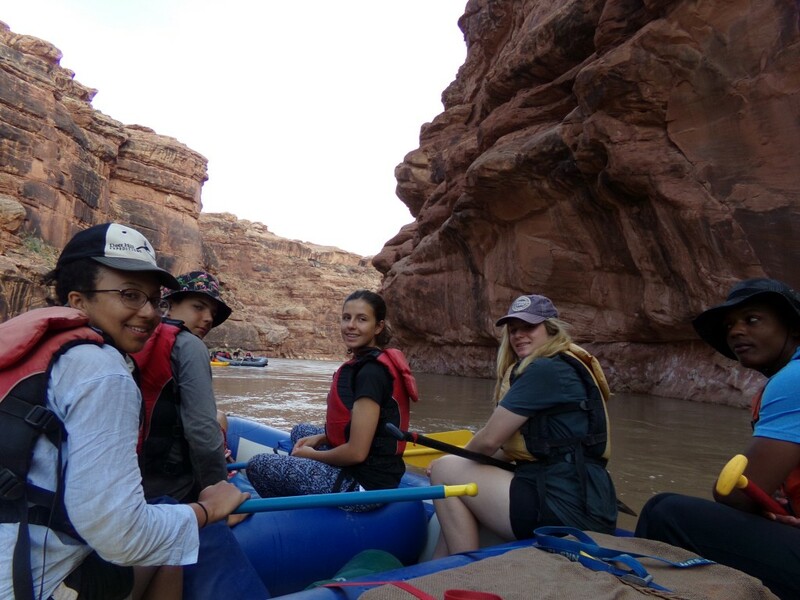 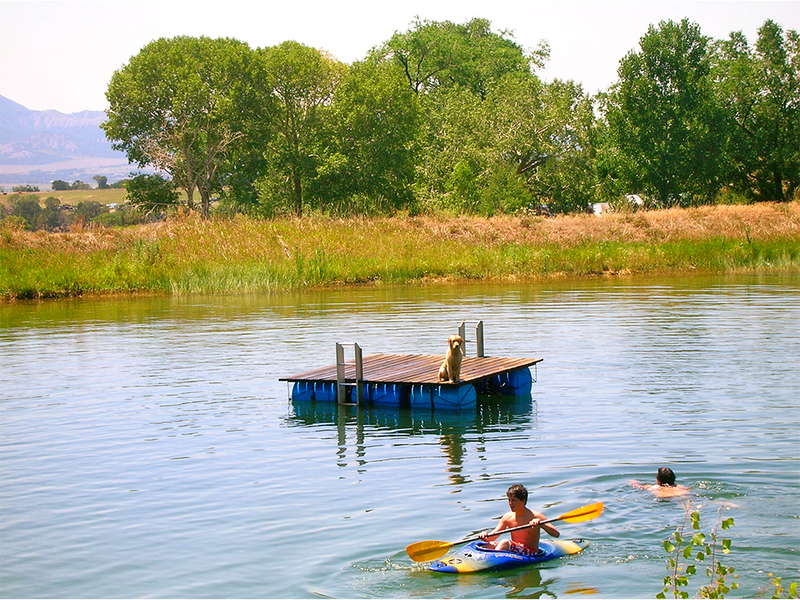 Participants learn to read the river, paddle a raft and inflatable kayaks, and even have the opportunity to try the oar rig. 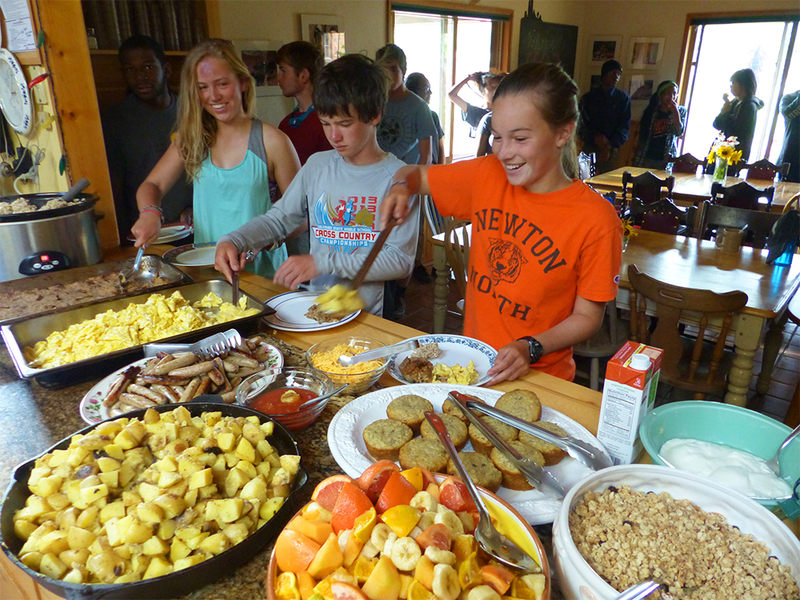 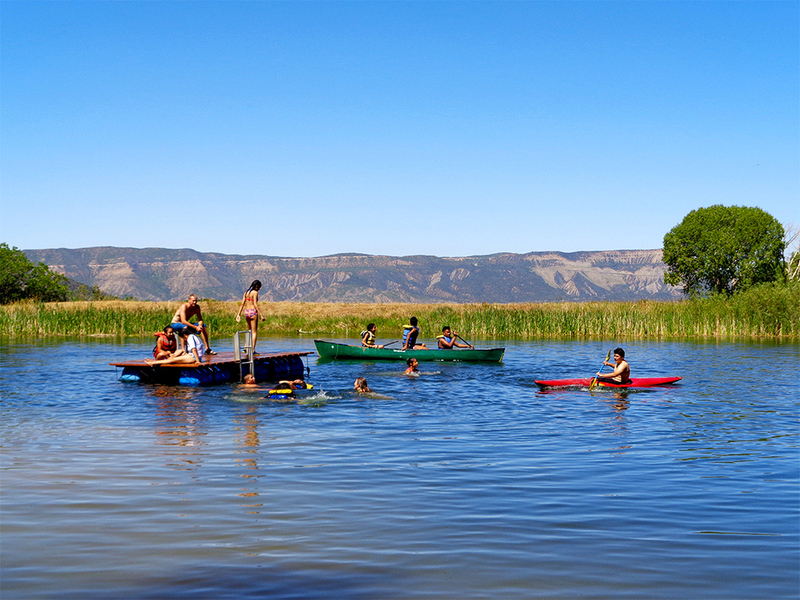 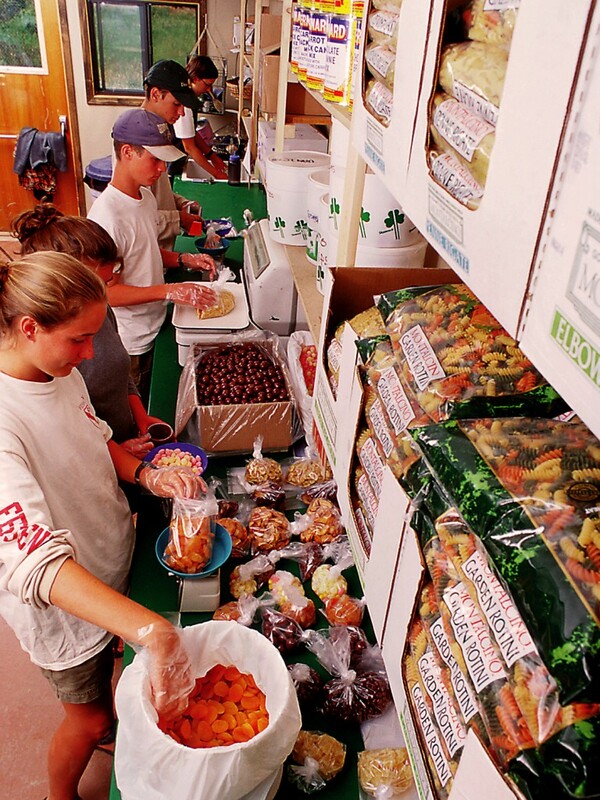 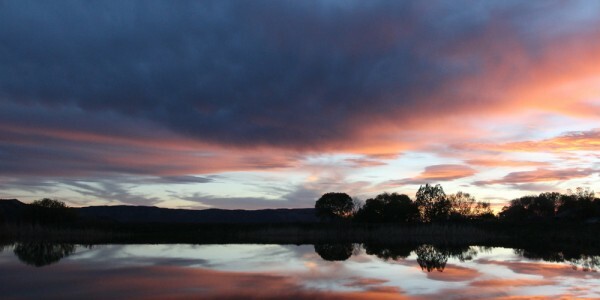 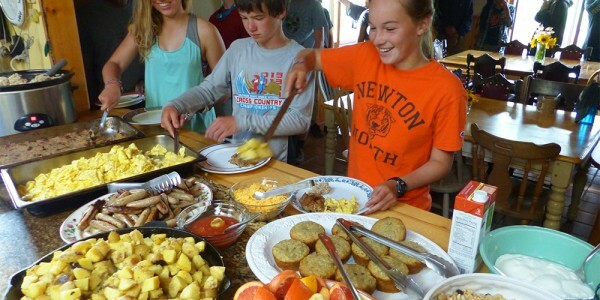 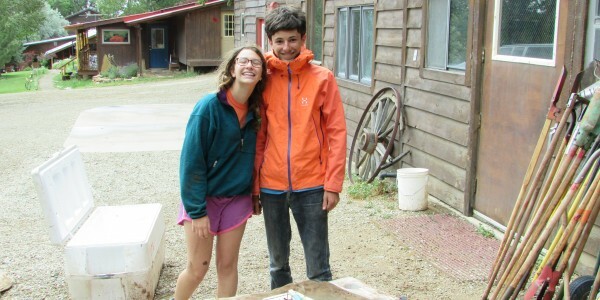 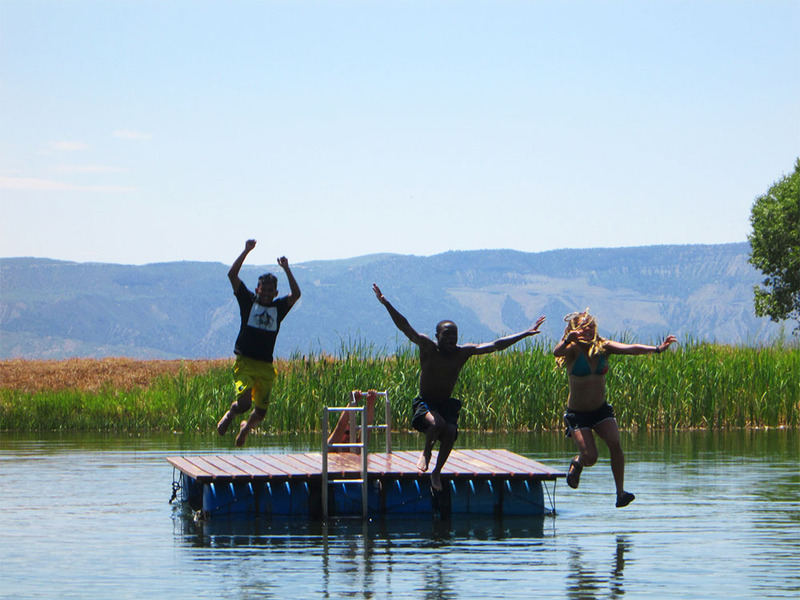 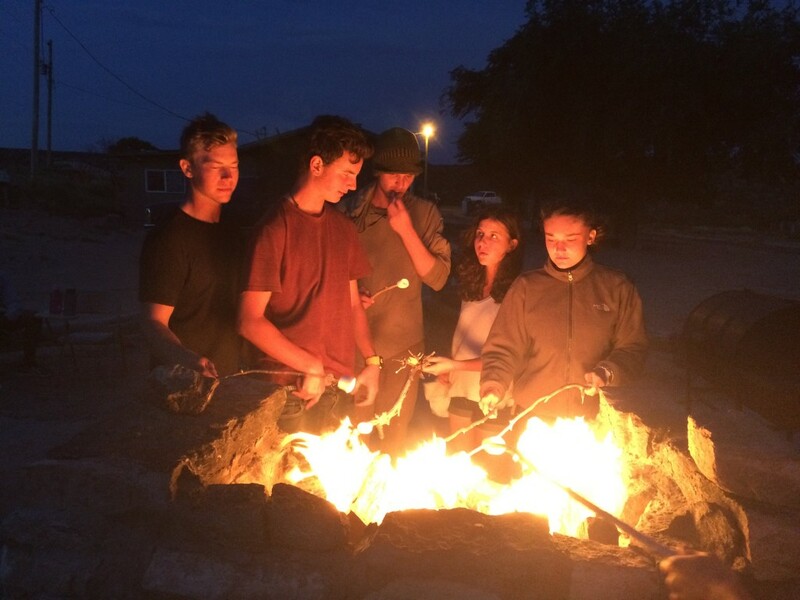 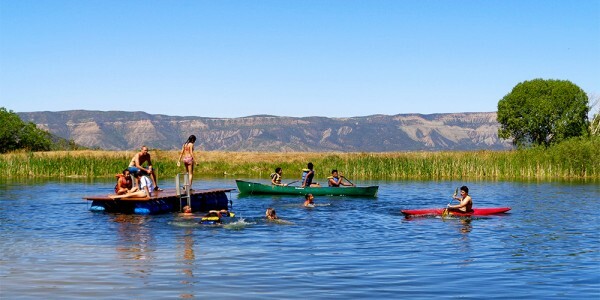 After each day of boating, the group makes camp on a sandy beach where they will prepare dinner, and enjoy the scenery. 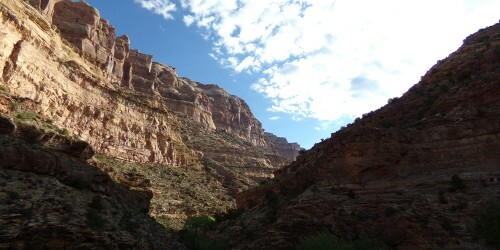 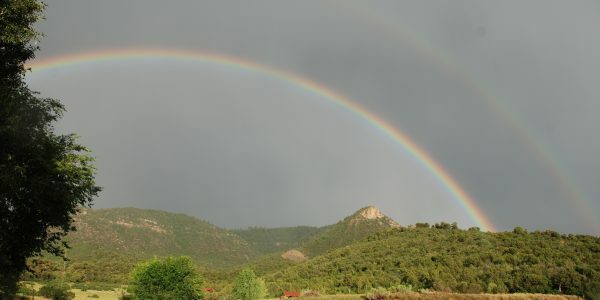 One of the countries most unique and dramatic landscapes are found in the Bears Ear’s resplendent canyon systems. 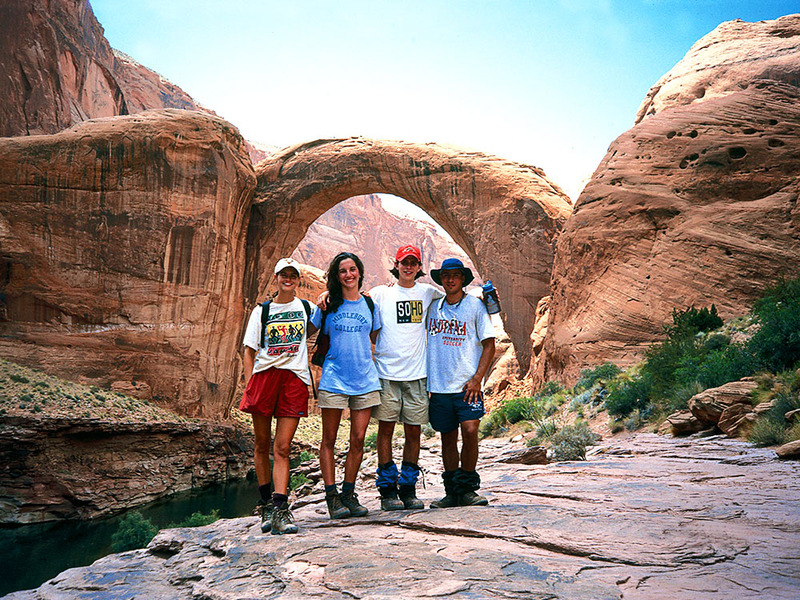 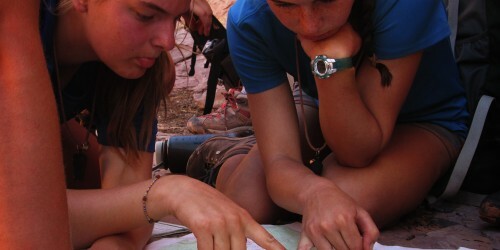 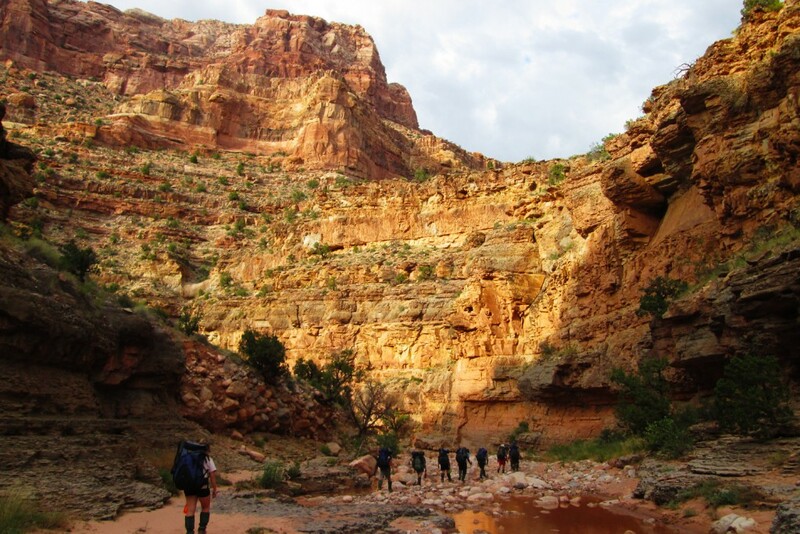 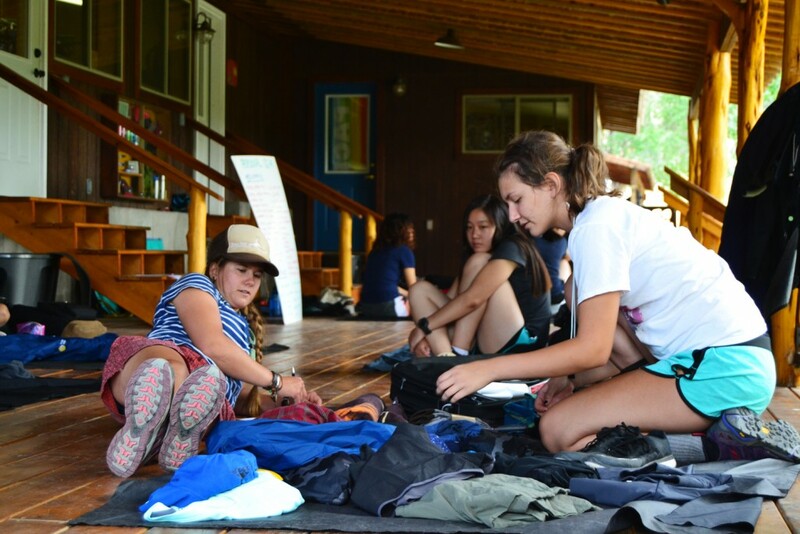 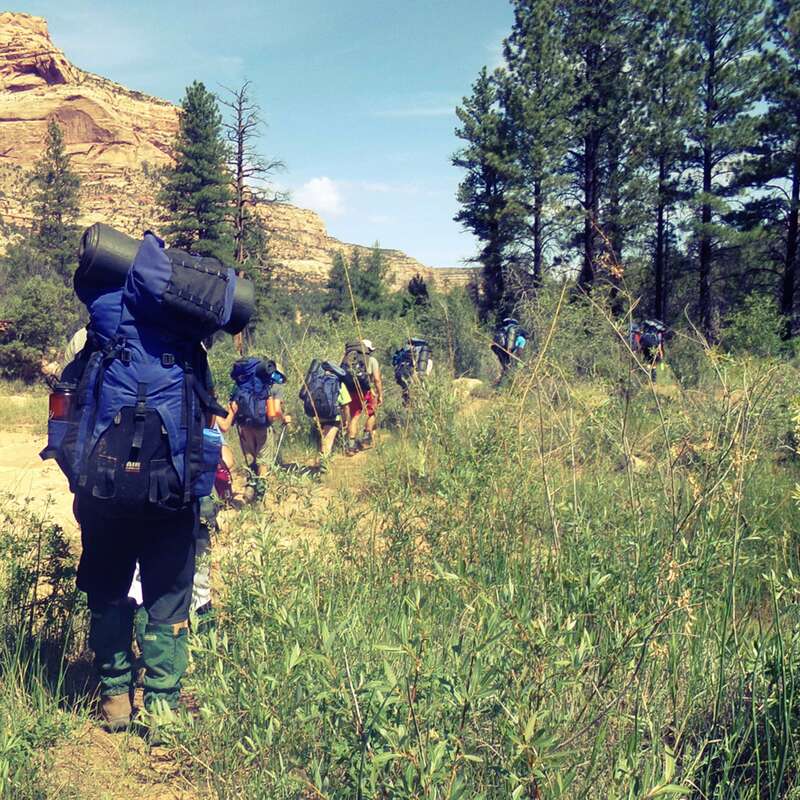 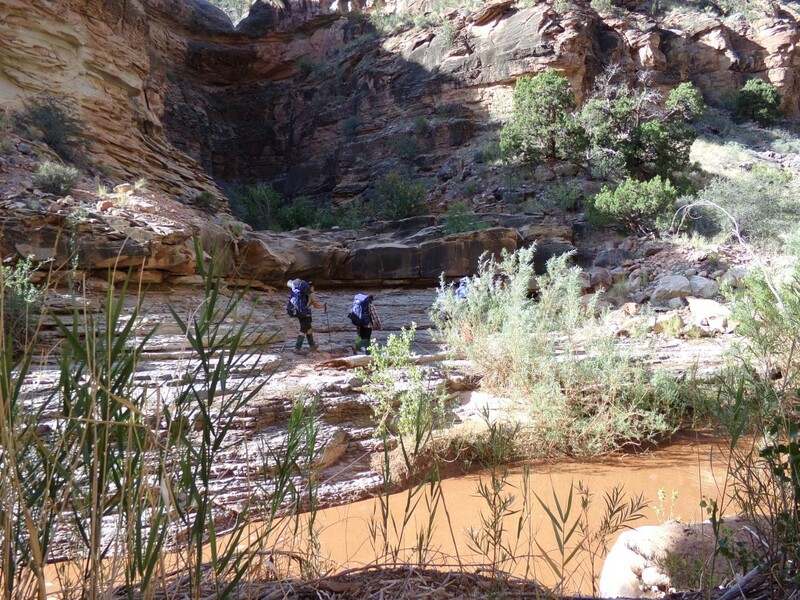 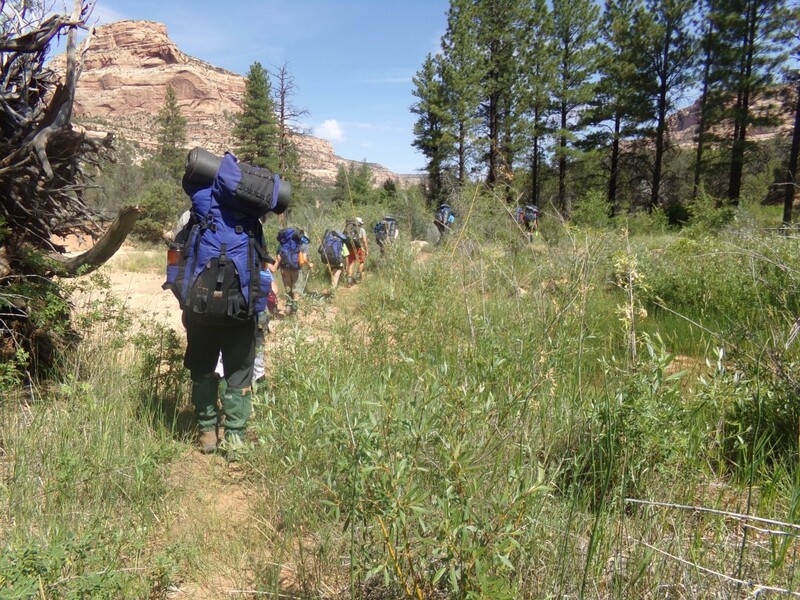 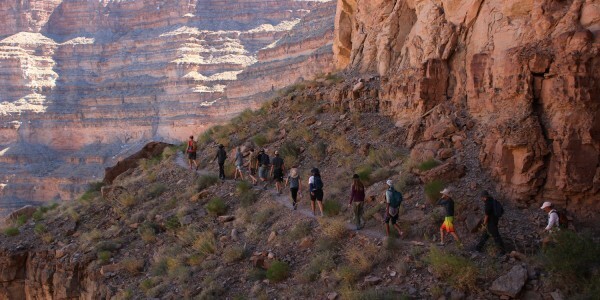 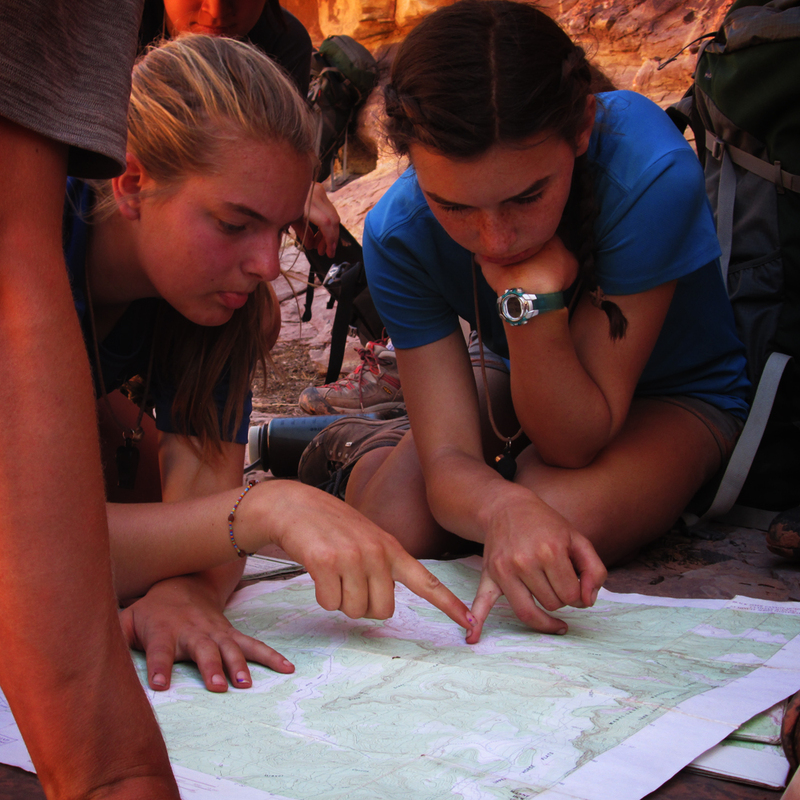 The group follows the major drainage through varying ecosystems during the backpacking section while learning about survival in the dry and hot climate. 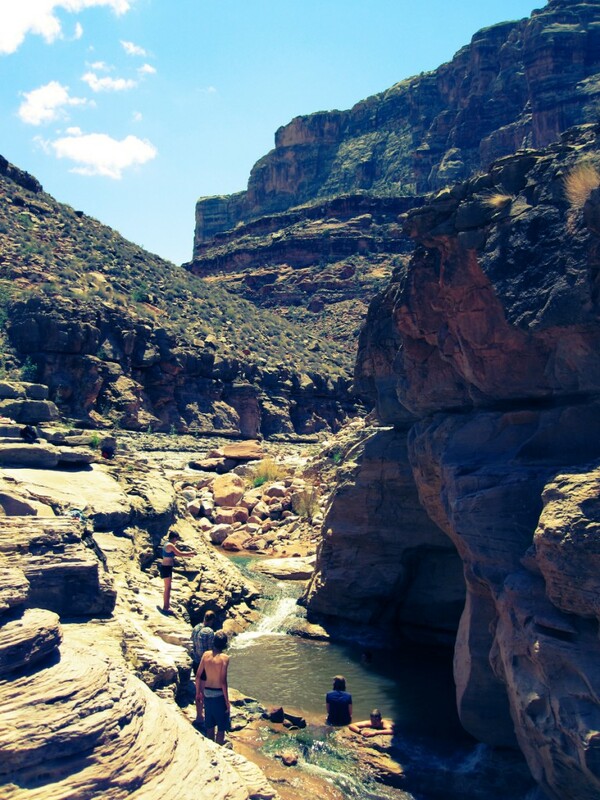 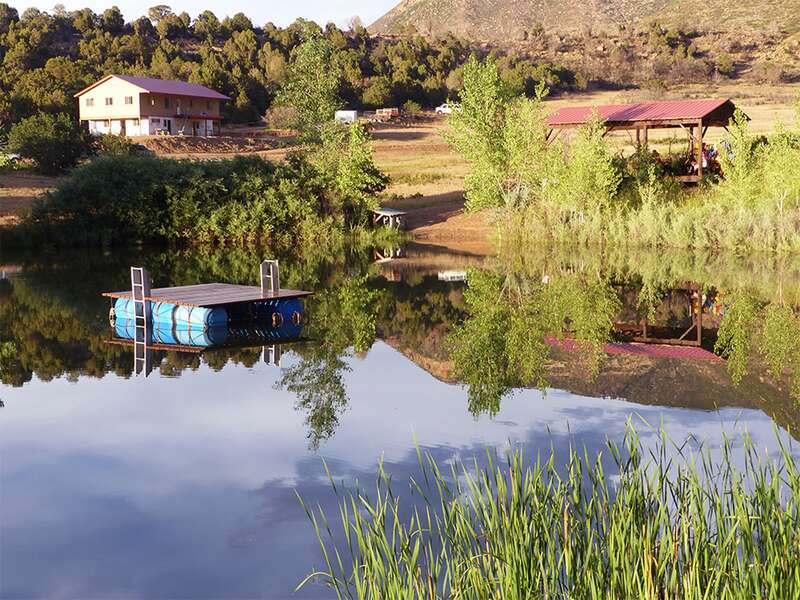 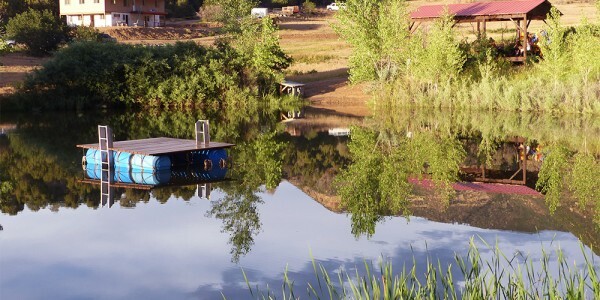 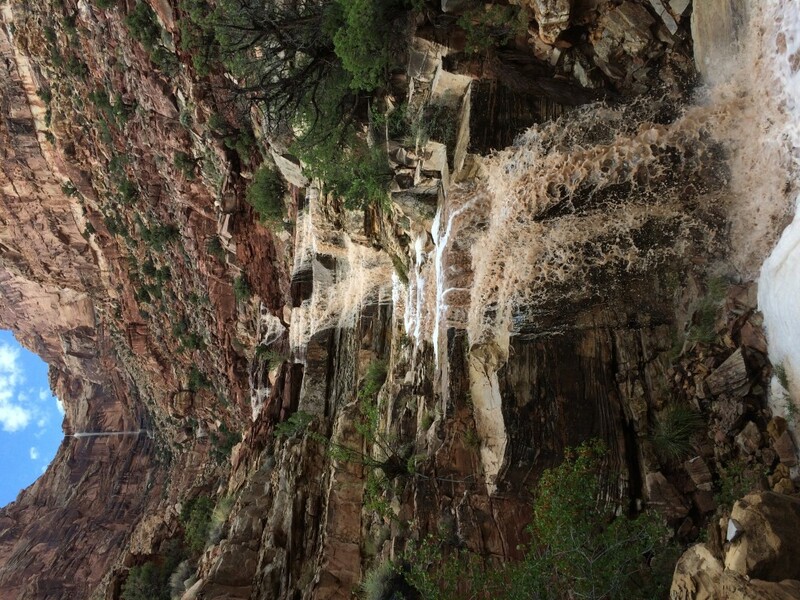 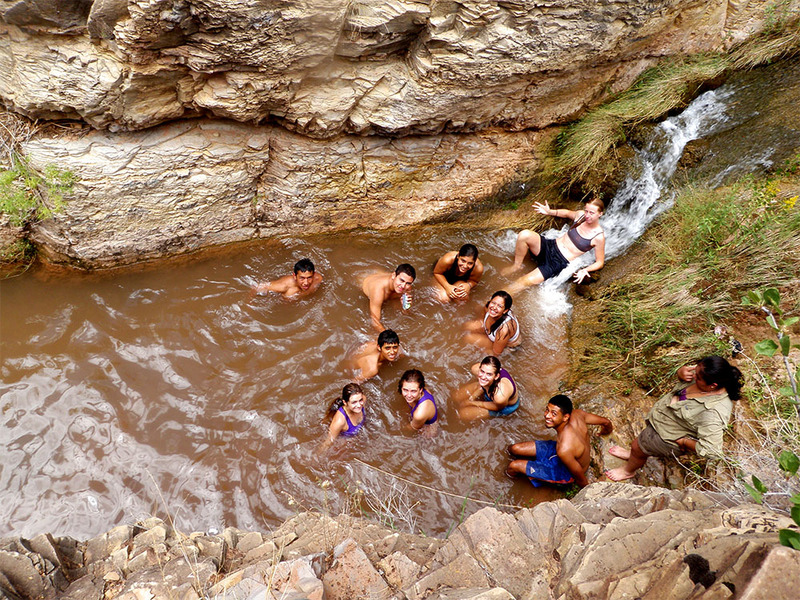 Participants can cool off in edenic pools ideal for swimming, watch the sun play off the 1100′ high canyon walls, and learn about the rich cultural history of the people who once called these canyons home. 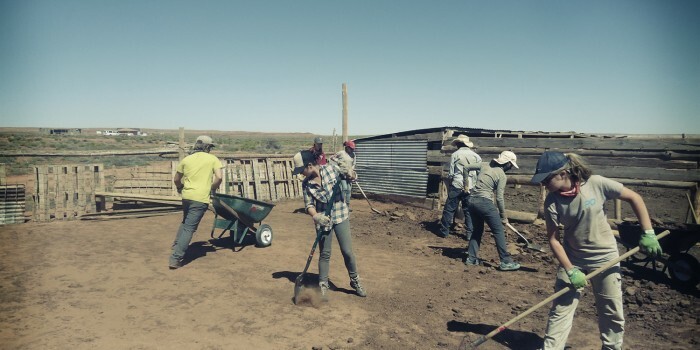 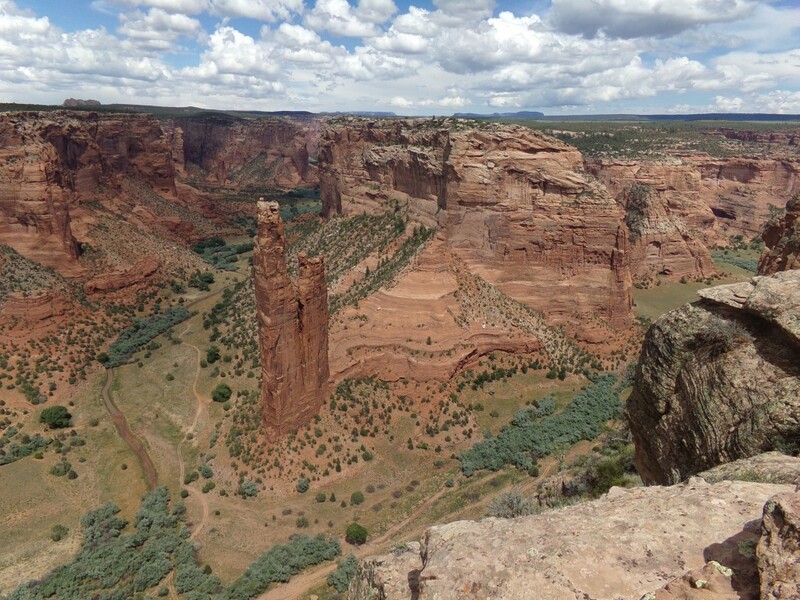 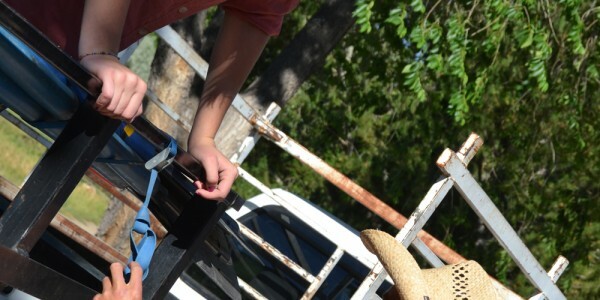 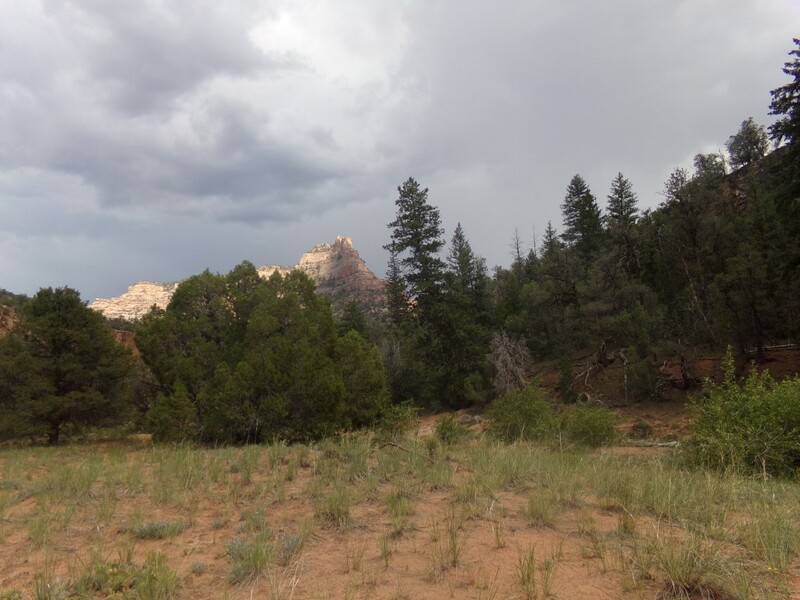 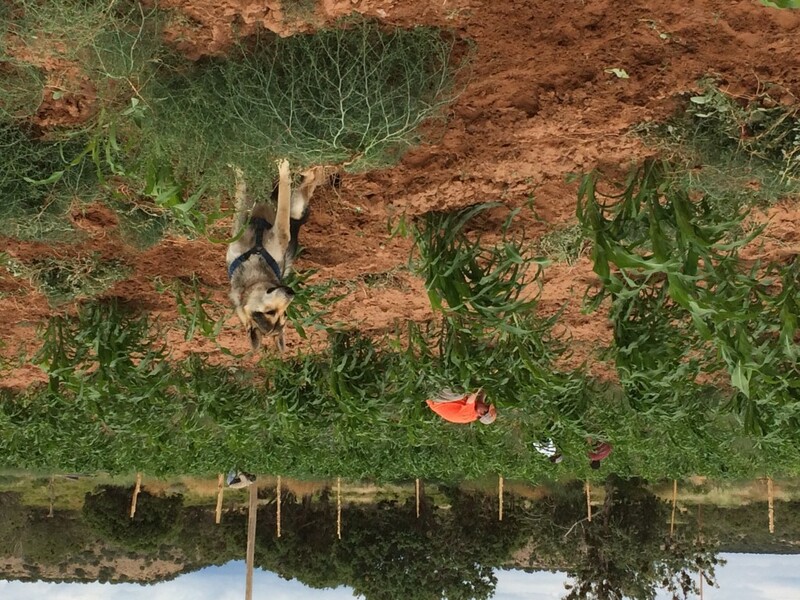 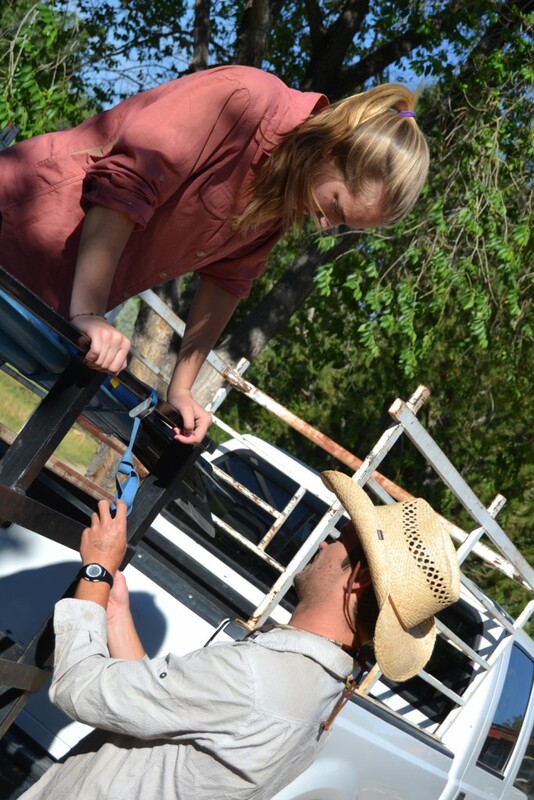 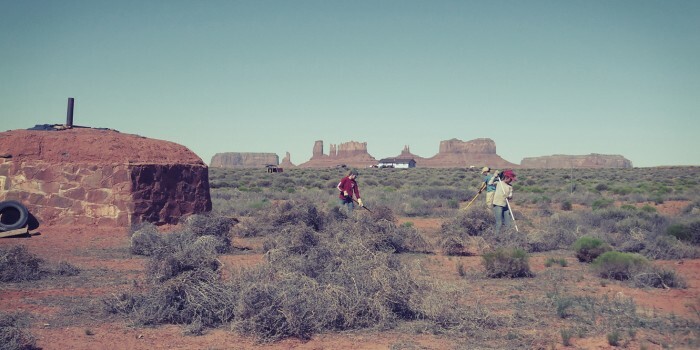 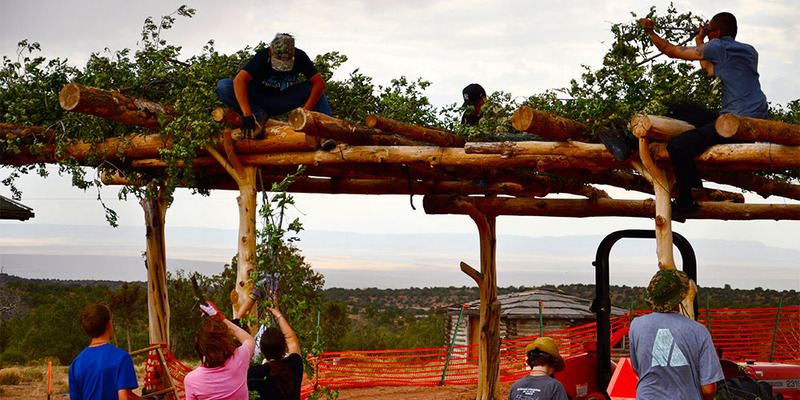 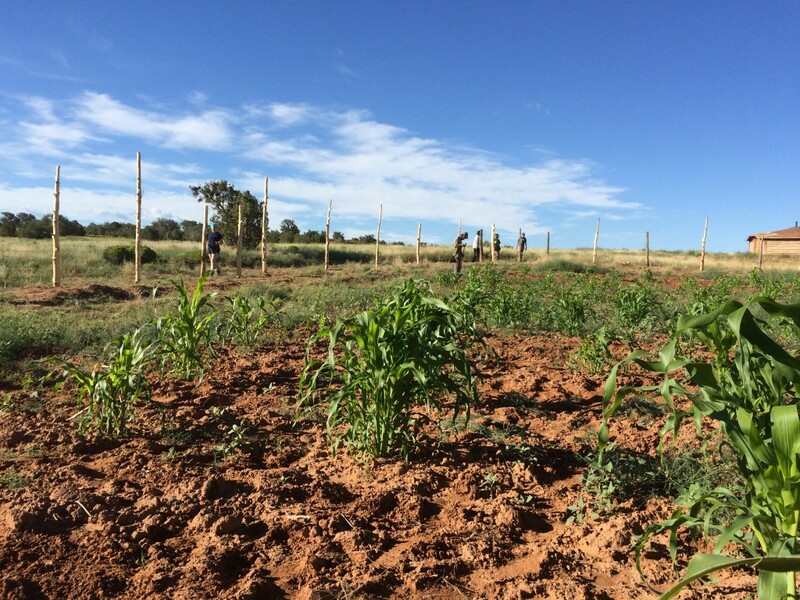 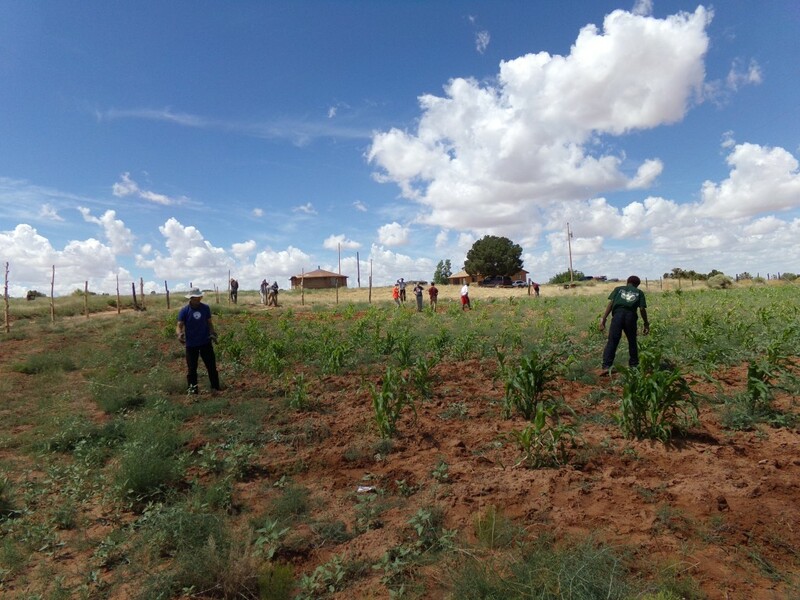 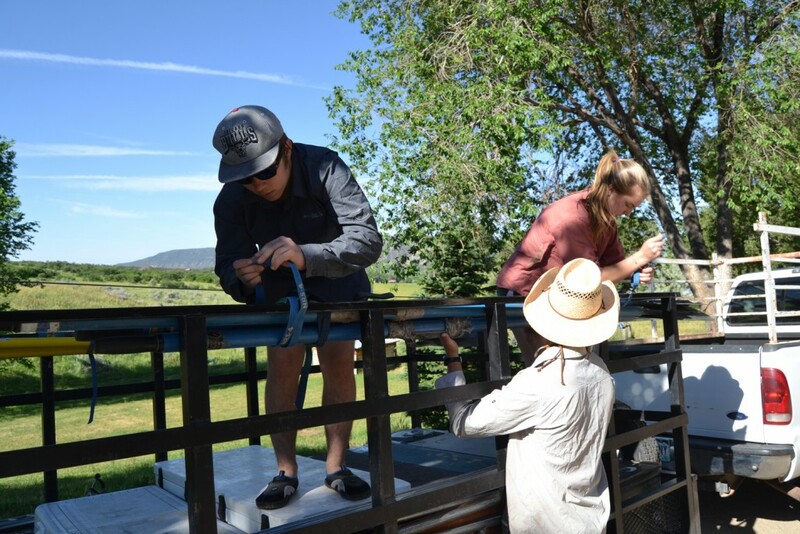 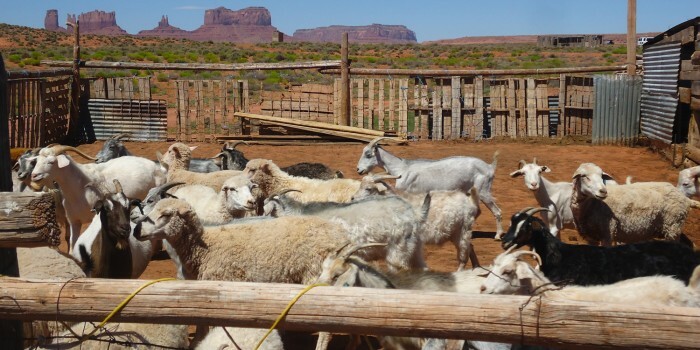 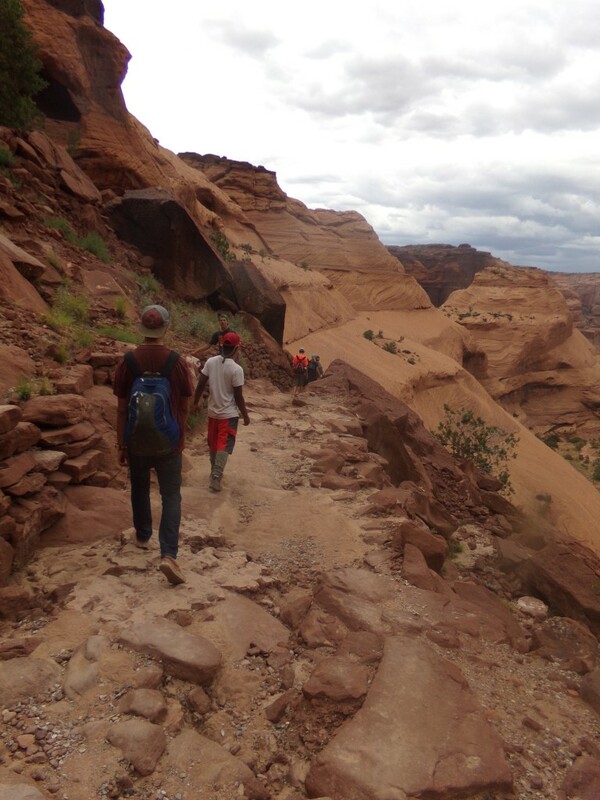 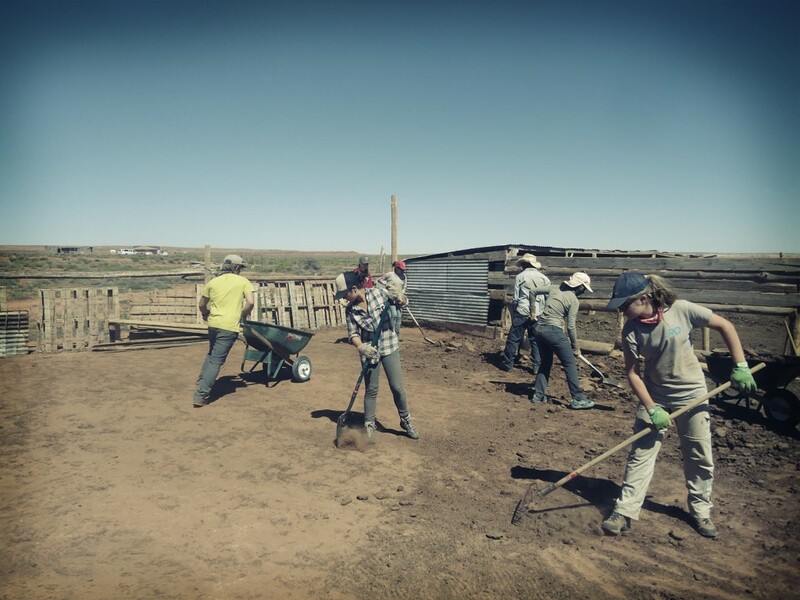 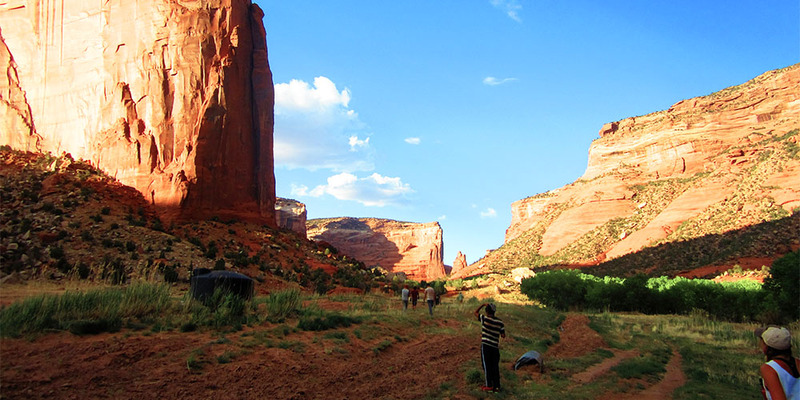 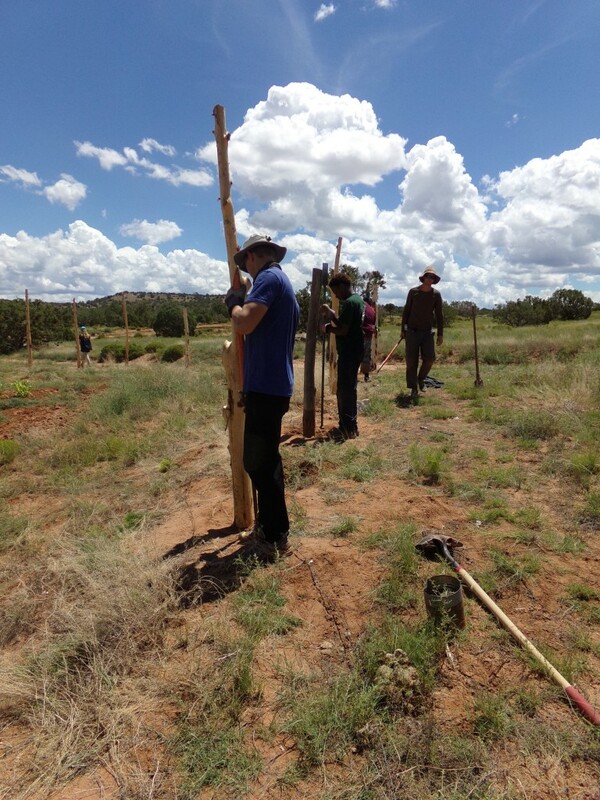 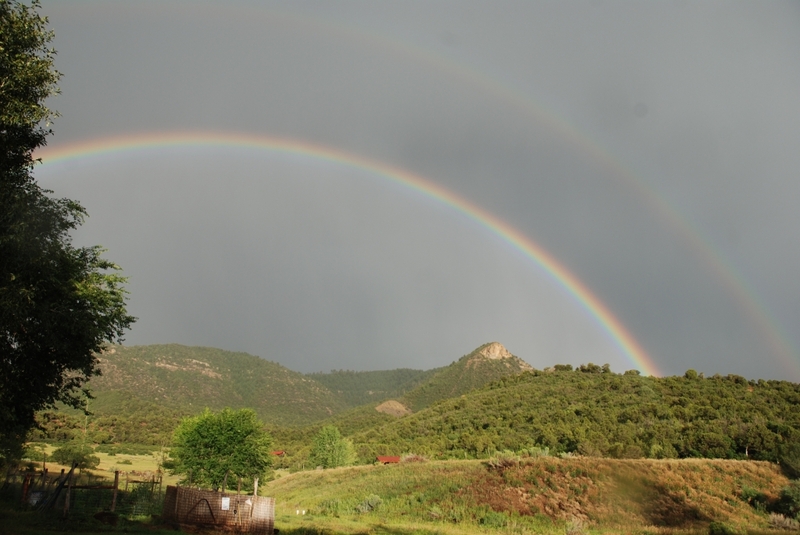 Participants live and work with their Navajo hosts at sites near Monument Valley and Canyon de Chelly National Monument on projects such as mending the fences around their ancestral farmlands, tending a sheep herd, or rebuilding a shade arbor. 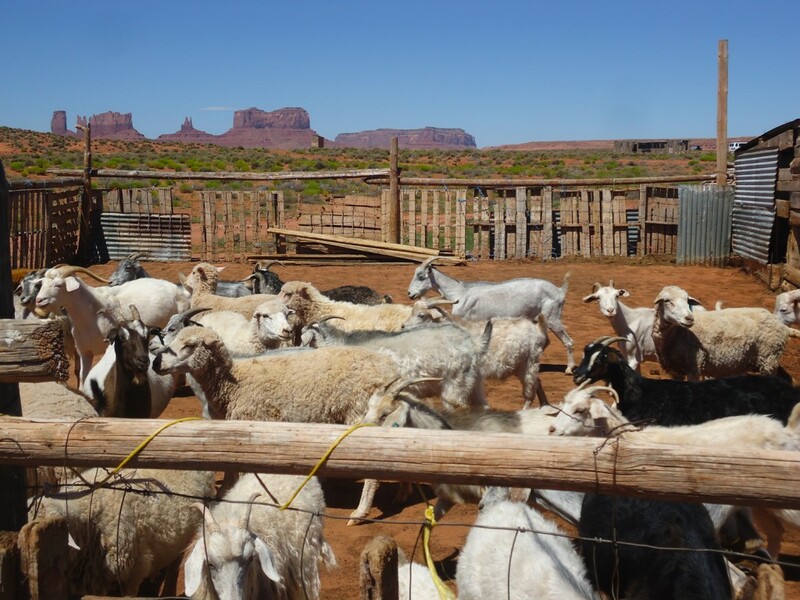 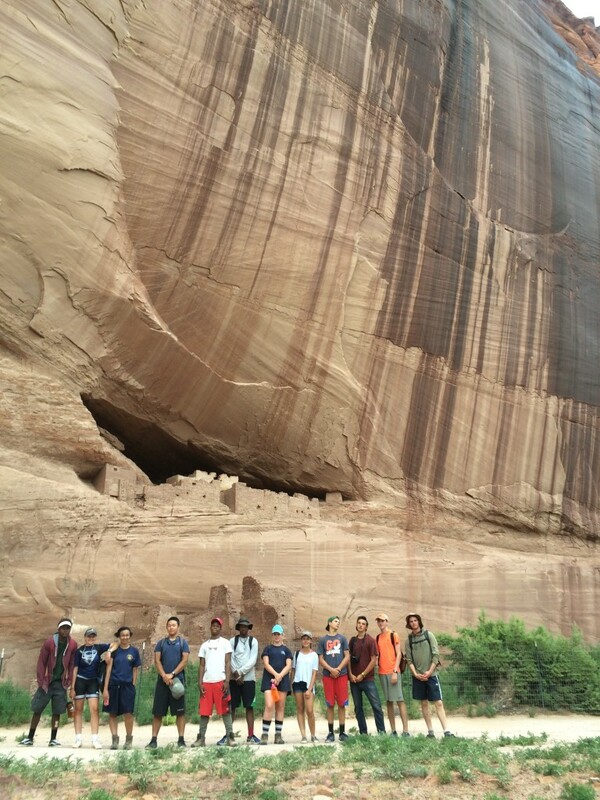 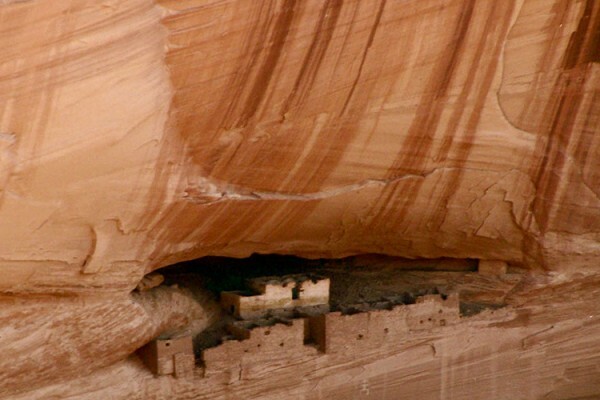 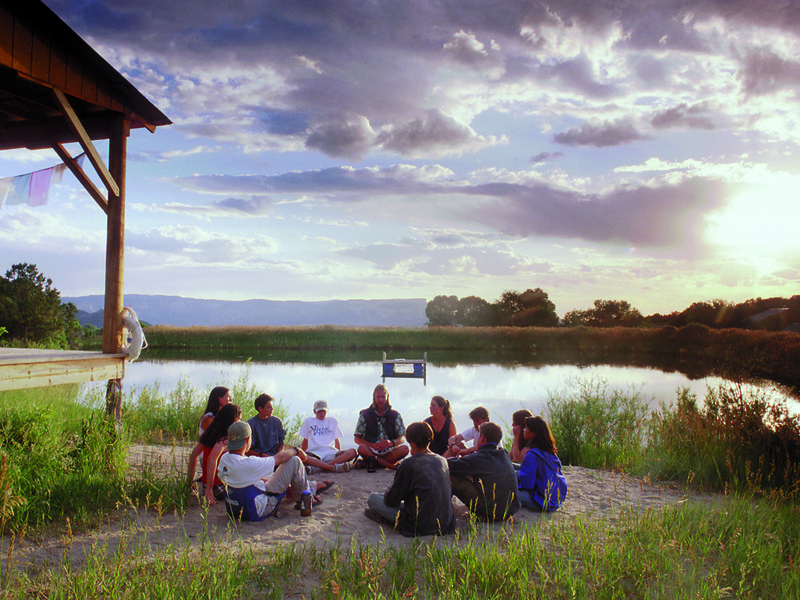 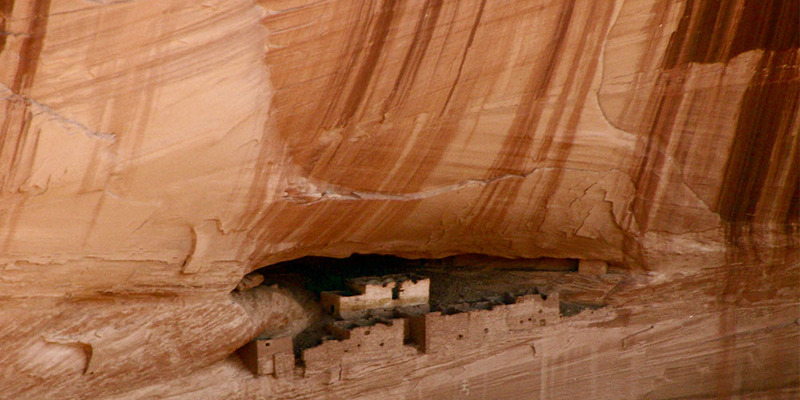 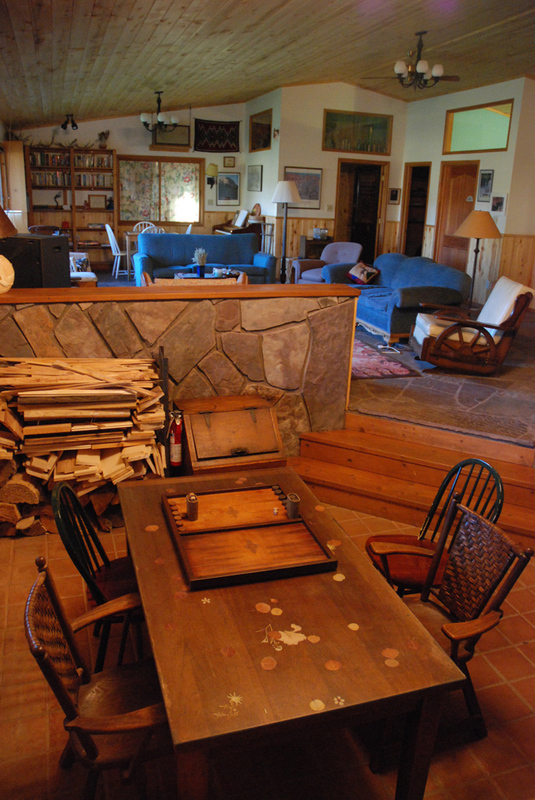 The group will learn about Navajo traditions and lifestyles, and what an ancient culture can look like in a modern world. 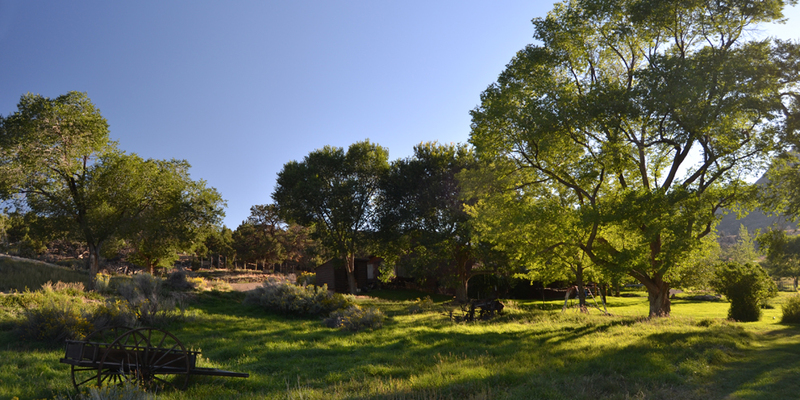 My experience with Deer Hill is the most incredible thing I have ever done in my life. 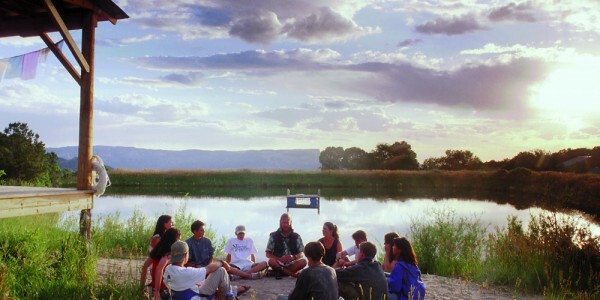 Experience reality and enjoy the moment and laugh with the strangers you will meet, because at the end of it all, you won't be laughing with strangers—you will be laughing with friends. 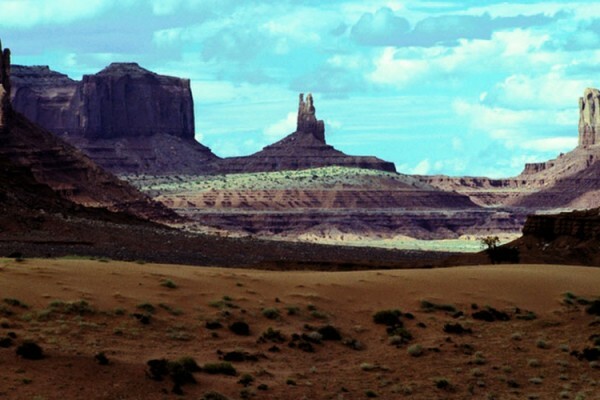 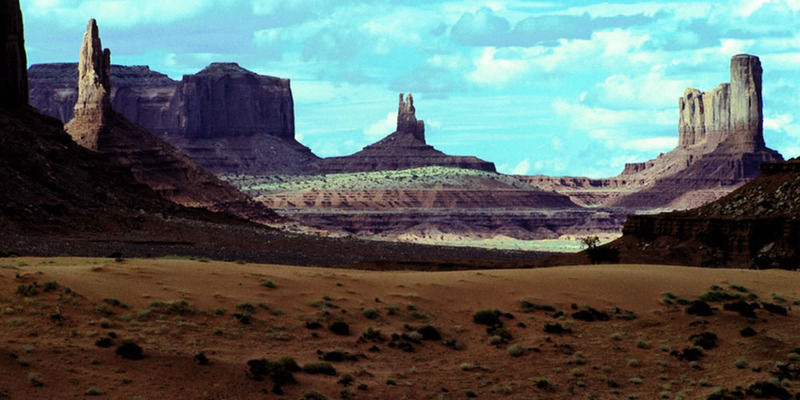 I was able to get to know one Navajo family on a personal level. 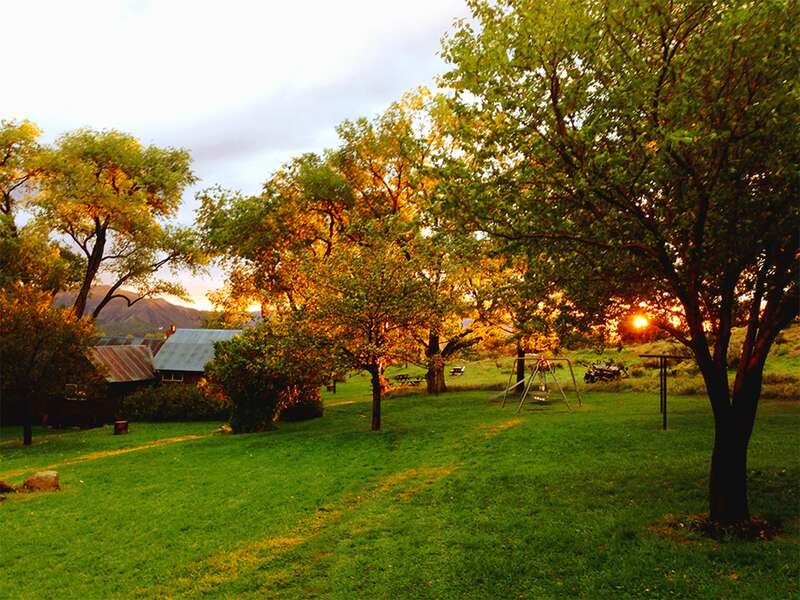 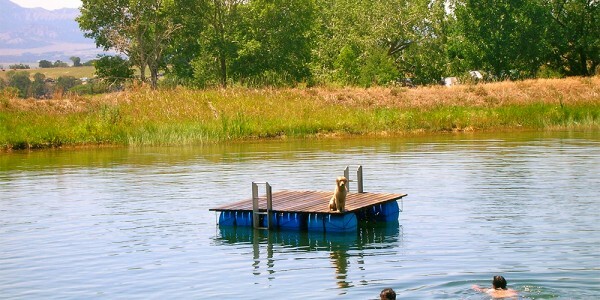 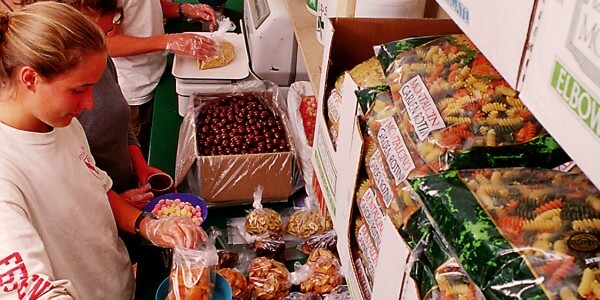 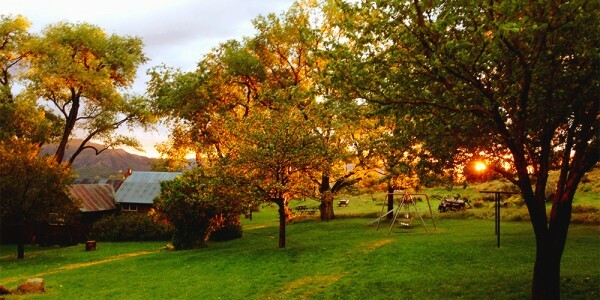 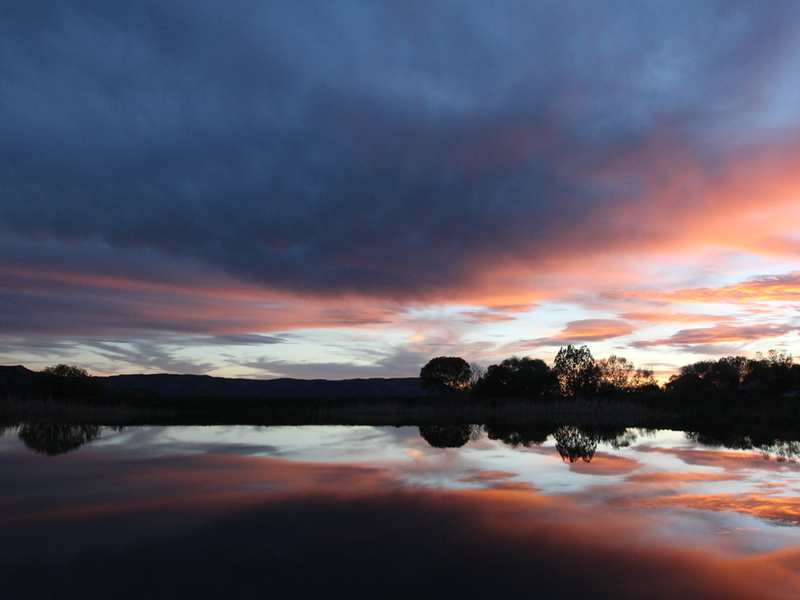 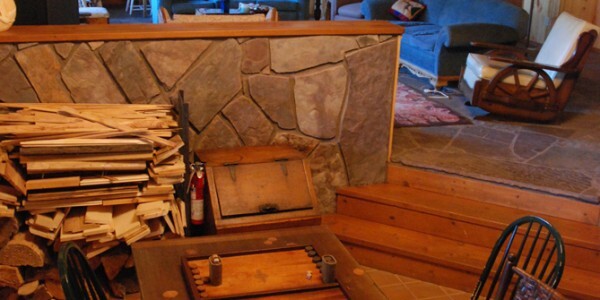 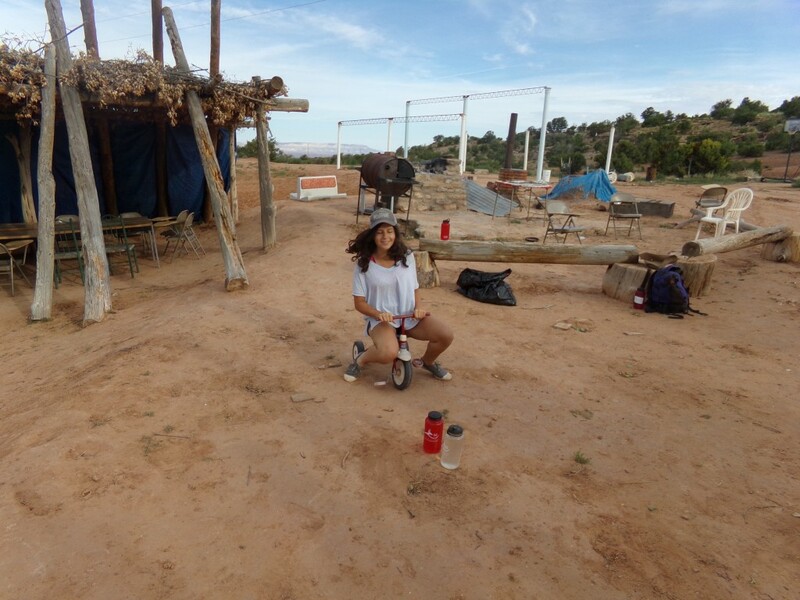 I began to understand how people could live and enjoy a simpler and more relaxed life. 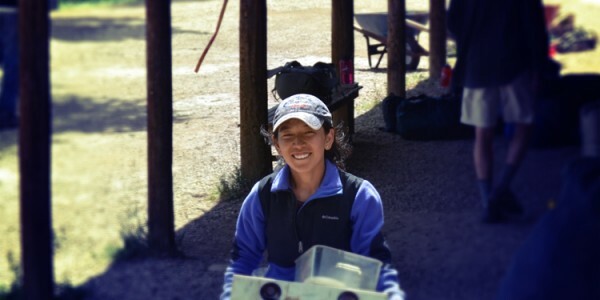 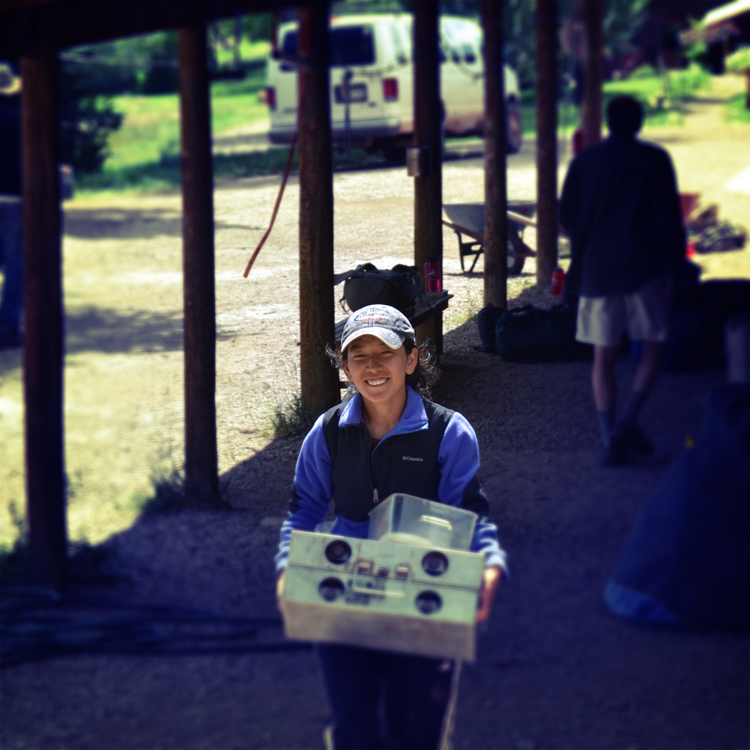 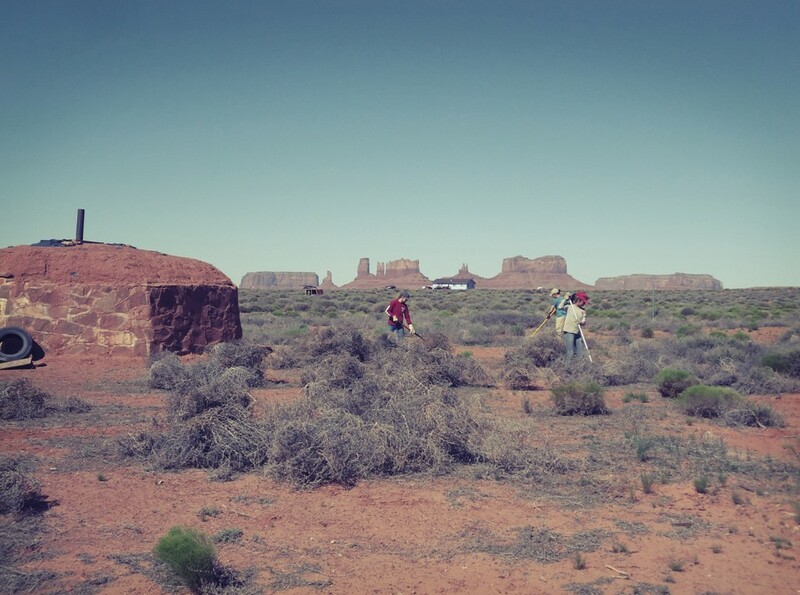 We worked with Navajo children. 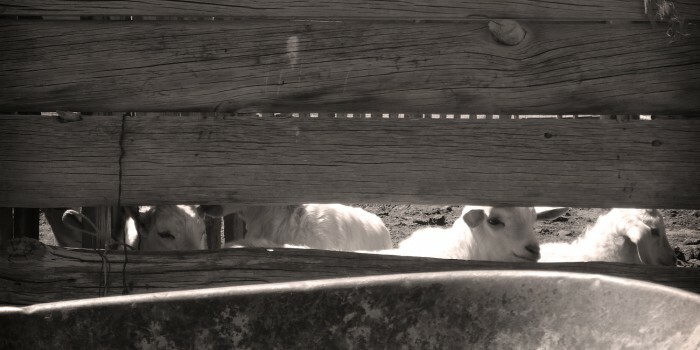 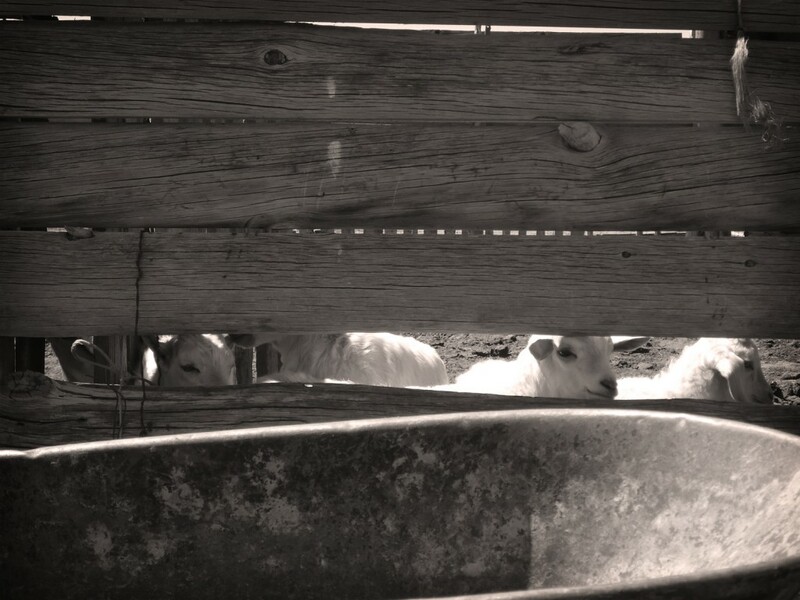 We got to know them, learn from them, and love them. 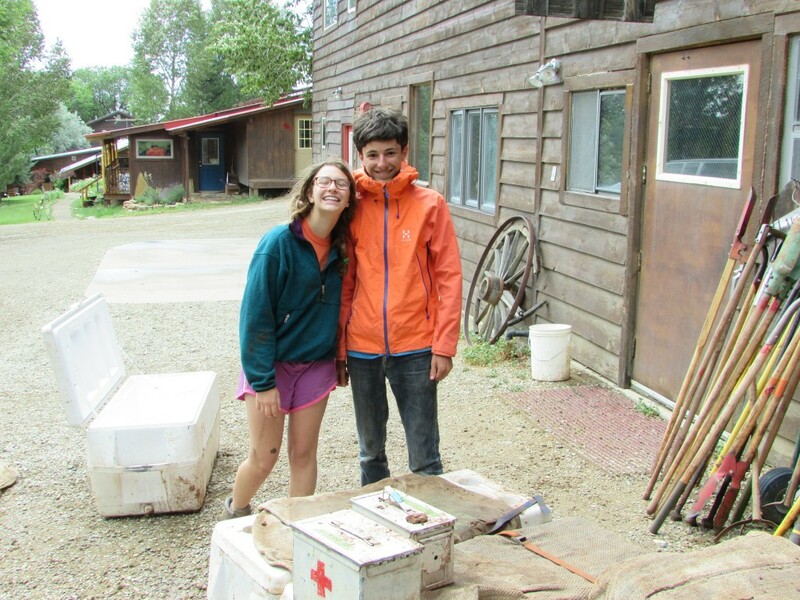 The relationship was two-way, and we felt appreciated for our work.